One of the main product features that sets ECOVACS apart from it’s competitors is their mapping technology. This laser-based navigation scans and maps cleaning areas so the DEEBOT learns and constantly adapts to your home, enabling efficient cleaning. You can draw virtual boundaries or pinpoint specific areas to clean or avoid. This is a great feature for parents because you can tell it to avoid the kid’s bedroom (that most likely has tiny shopkins or legos strewn about!) and tell it to spot clean around the kitchen after mealtime. ECOVACS also makes the WINBOT X, a cordless window cleaner which would be great for helping clean windows on the second story or large, glass sliders like I have. Check out the WINBOT X in action below and head to Instagram to watch my Instagram story highlights to see more of the products I saw at the show! ECOVACS’ products can be paired with the ECOVACS App or ECOVACS Home App, allowing users to control their robots anytime, anywhere to set cleaning schedules, select cleaning modes, monitor the cleaning process, and more. All DEEBOTs are compatible with both Google Home and Amazon Echo as well, making cleaning at home as easy as tapping on a smartphone via the ECOVACS apps or using voice control. Saying “Alexa, tell DEEBOT to start cleaning” is so much easier than vacuuming and mopping the floor myself! Don’t you think? Last year I had such a great response to my DEEBOT giveaway that the folks at ECOVACS are letting me host another one! You can enter for a chance to win their DEEBOT OZMO 930. Each task in the form below equals one giveaway entry. The more you complete, the more chances you have to win. You can share this giveaway once daily for extra chances, just make sure to come back to the form and submit your new link. Good luck! Thanks to Unelko Corporation for sponsoring this post. Out of all the things that I have to do as a mom, cleaning definitely tops the list of my least favorite tasks (with listening to my kids whine as a close second lol). Nevertheless, cleaning is something that must be done so today I’m sharing some of my top cleaning tips for busy parents. The best part? These are all realistic! I’m not giving you a list of 20 things you need to clean in a day or expecting you to make cleaning your house a full-time job. After all, we all have errands to run, kids to love on, and a few dozen shows we’d love to binge watch. Whether you are in the season of motherhood known as the toddler years, your kids are finally back in school after the flu ravaged your home, or you just can’t seem to keep your house tidy even on the best of days, read on for cleaning tips that will work for you! We are going to start with one task that will work on even the messiest of homes- pick a room that is the easiest to clean up (or parents of littles may want to start with a room the kids don’t frequent often) and tackle that room at naptime, after the kids go to sleep, or (if you have older kids) on the weekend when they can help. (BTW- the entry of your home can totally count as a “room” here!) Personally, I have found this is the best way to clean because you can actually see the progress which creates momentum, unlike cleaning a little bit here and there throughout your home and then an hour later it looks exactly the same. This motivates me to not only keep it clean but makes it easier to tidy up. When doing this room-by-room cleaning method I start by moving stuff that belongs elsewhere. I don’t put it away but instead just drop and run back to the room I was working on (because we all know that story about the mouse who wanted a cookie and ended up doing a million other things….) Those who have a large home may want to just gather up anything that doesn’t belong into a laundry basket so you aren’t running around and wasting time. I put away and tidy things up and then sweep or vacuum and clean surfaces. I don’t organize drawers. I don’t pull everything out of the closet and start an organizing project. I pick up and tidy what can be seen and save the projects for another time. After all, I just want my house to be presentable should someone stop by. Once I’ve gone through the above and done this for all rooms, I mop the floors. This may take a few days but then you can start my next steps with a semi-clean home. I found a daily/weekly/monthly schedule works best for me and suggest that you create a cleaning plan that works for your schedule. I have a short daily list that consists of two 15 minute pickup times (one in the morning after my kids have gone to school but before I start my work day and one in the evening) and some basic bare-minimum cleaning. I have a weekly list that are things I don’t need to do daily but at least want to do once during the week, along with larger deep cleaning tasks and organizing projects I have on a monthly list. Some days I’ll get one or two weekly or monthly tasks done, other days I just get the daily basic tasks completed and then there are the days when I’m trying to meet work deadlines or am too busy to even enjoy my coffee and nothing gets done. It happens to us all and honestly, if your kids are fed and happy, just call the day a win and realize that tomorrow is a new day to try again! If you are spending time cleaning you want to use products that work well and make cleaning easy. I love the line of Invisible Shield® products that shield and protects glass and other surfaces because not only do they work, but they minimize cleaning time in the future by protecting against re-soiling and stains without all the harsh chemicals. When you go back to clean the second time, you’ll notice far less soiling, dust and spotting and how effortless it is to go over the surface. The Invisible Shield® Marble & Granite Cleaner and Protector even leaves a lustrous shine that will last longer than any other Marble or Granite cleaner! Their products also prevent corrosion around water areas such as faucets, sinks, shower doors, wall tile, and tubs, extending the life of hard surfaces & fixtures. Anything that protects our home investement and lets us spend less time cleaning the shower and more time cuddling on the couch with the kids is a must-have if you ask me! While all the products are amazing, my favorites in the line are the Invisible Shield® Water Spot & Stain Remover and the Invisible Shield® Protective Glass & Surface Coating that let me tackle one of the most difficult and time consuming areas to clean- the bathroom- with ease. They specifically help with the shower, removing stains and protecting the build up from coming back. Just look at the difference below and it only took minutes to clean! Plus, the protective glass & surface coating saves valuable time because it reduces the need to squeegee and keeps glass cleaner longer. I love the brighter appearance that cleaning with these products give all my surfaces because shiny glass, counters, and more make my house look cleaner, even when there are toys strewn about the floor as my kids play! When you are a busy parent you need to utilize every second of the day to the best of your ability. So often I’d find myself checking my phone or just standing around as I waited on hold or for the water to boil or any of the other times I’d find myself with a few minutes. I suggest making a list of quick tasks you can do in 3-5 minutes of time so when you find yourself with a few extra minutes you can complete something on the list. Things like cleaning a mirror, wiping down the baseboards in a room, or throwing a load of laundry in the washer can all be done in minutes. Five minutes may not seem like a lot of time to get something done but if you had just 10 minutes a day to do a quick task or two, you’d have about 60 hours of “extra” cleaning time each year! As much as we think we can do it all, we can’t. Don’t be afraid to ask your partner or kids for help with cleaning. I know it often seems like there is so much to do around the house and we get frustrated when they can pass up that stuff on the step waiting to go upstairs or the overflowing trash can, but sometimes our family members just need us to be clear about what we need from them. They aren’t mind readers after all! 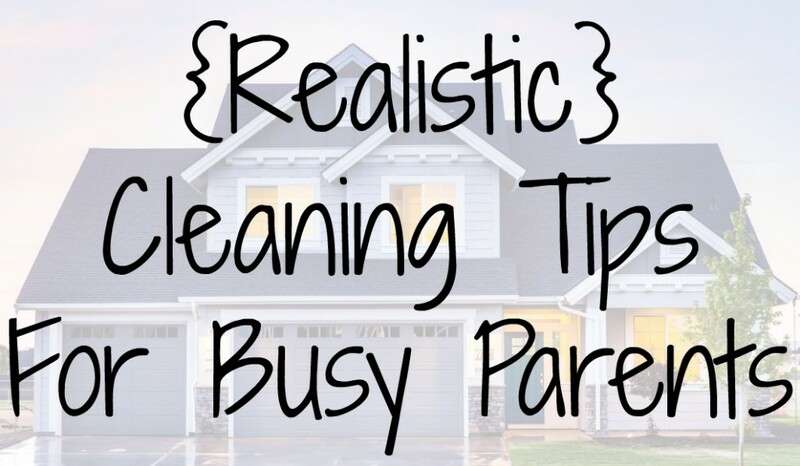 Start by giving them specific tasks or asking them to do something on a daily or weekly basis to take some of the cleaning responsibilities off your to-do list. 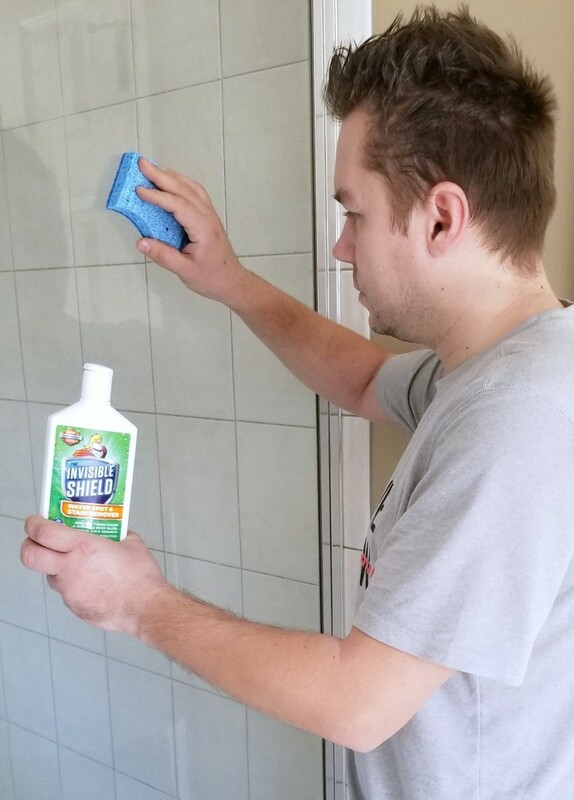 You can purchase the Invisible Shield products on Amazon and they even have bundles like the Household Spray Cleaner Combo (which includes the Invisible Shield Glass & Surface Cleaner & Stainless Shine and Marble and Granite) and the Glass Essentials Combo (which includes the Invisible Shield Glass & Surface cleaner, Water Spot & Stain Remover, and Protective Glass & Surface Coating). Do you have any cleaning tips to share? I’d love to hear about them in the comments below but before you go, enter the giveaway to win some of these amazing products yourself! Thanks to Build-A-Bear Workshop for sponsoring this post and giveaway. When I was little there was always one thing I carried with me everywhere- my teddy bear named Beary Alice. My Grandma had made it for me before I was born and I still have it in my bedroom even as an adult in my 30s. As silly as I feel admitting that I still have my teddy bear, I know I’m not the only adult who still has one. A survey of 2,000 adults, completed by Atomik Research and commissioned by Build-A- Bear, revealed that across generations, more than half of all respondents surveyed mentioned they still own a stuffed animal. 40% of respondents said they sleep with their stuffed animal by their side and 72% of those who have stuffed animals said they plan to keep their stuffed animal forever (yep, that would be me). Do you still have a teddy bear from when you were little? With National Teddy Bear Day today, September 9th, we are headed to Build-A-Bear Workshop to add to his collection of stuffed animals. To celebrate this holiday, guests of Build-A- Bear Workshop stores can make their own limited-edition National Teddy Bear Day Bear for just $5.50 (plus applicable taxes, while supplies last). We can’t pass this deal up! This teddy bear sure is a lot cuter than mine! What I love most of all about Build-A-Bear though, isn’t the selection of bears and other stuffed friends, but that we can make the bear together. For me it’s about the experience and time spent making memories as we stuff the bear, name him and everything else we have to do before we can take him home. I don’t love Beary Alice because of how she looks but because of the memories she brings back. Regardless of the hole in her arm and the matted fur, she reminds me of my Grandma and my childhood and I hope that the bears I build with my boys at Build-A-Bear will bring back similar memories for them in the years to come. Want to make memories with your kids at Build-A-Bear Workshop? I’m giving away a $100 gift card to one lucky winner! To enter, fill out the form below. Thanks to Picture Keeper for sponsoring this post and giveaway. One of my favorite things to do on the first day of school is to take a picture of my boys so I can compare it to the previous year (and share it with friends and family obviously lol). The school year brings tons of other photo opps as well, like holiday concerts and PTA events, so if you like taking pictures of your loved ones like I do, give yourself peace-of-mind with backup security from Picture Keeper. With so many memories stored on computers, don’t risk photos of your children getting lost or deleted without a backup plan. Picture Keeper Connect is a simple all-in-one USB device with embedded software that makes it easy to transfer photos, contacts, and videos directly from your Phone or Tablet (iOS and Android) to your Mac or PC with the simple click of a button, freeing up space on your device and securing your memories. This device is simple and convenient to use with no software to install, no wires to connect, no complicated setup, and no passwords to remember. The files can be accessed and backed up without WiFi or data connection and are always within reach. Best of all, there are no monthly fees associated with using Picture Keeper. Protecting your memories shouldn’t be difficult. 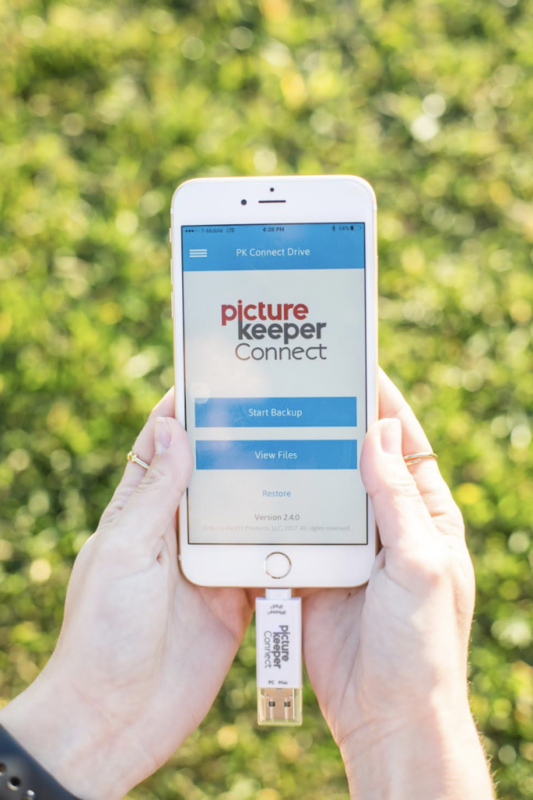 Whether you’re switching to a new phone, running out of storage on your smartphone, or wanting to safeguard those important first day of school photos, Picture Keeper Connect offers simple photo backup solutions for all devices – smartphones, tablets, and computers. To celebrate the back-to-school season, Picture Keeper is hosting a great giveaway for a $300 shopping spree and a Picture Keeper Connect. Enter below for a chance to win! Disclosure: This is a sponsored post but all thoughts are my own. Pictures are one of my favorite ways to keep memories alive so I’m excited to be working with Portrait Innovations again. 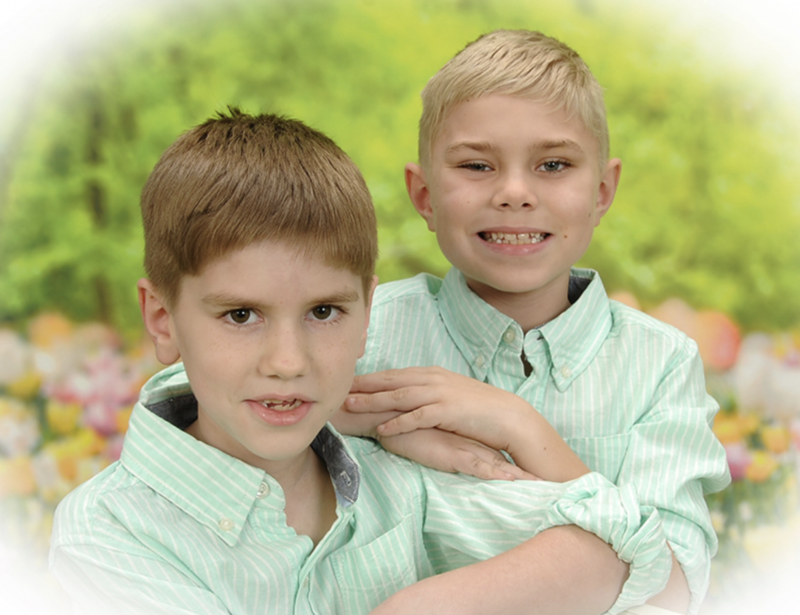 We had a great experience at Portrait Innovations during the holidays when we took our family Christmas photos and I really loved how the pictures turned out so we went back last week to get spring pictures taken of the boys. I liked that the photographer chose a few different backgrounds to photograph the boys in front of. The spring background with the flowers was my favorite because I thought it was perfect for seasonal pictures and made it seem like we had some outdoor shots taken. One of my favorite things about Portrait Innovations is that the photographers try a lot of different poses so there are a variety of images to choose from. They also take multiple pictures of the same pose which is nice. There’s nothing worse than finding that one shot you love but then you notice that someone’s eyes are closed. With multiple images taken just seconds apart they are more likely to capture your children at the perfect moment, before they look away, make a funny face, or blink. I also like that while my boys were getting their pictures taken, I never felt like the photographer was rushing through our session. At other studios, that have really short appointment windows, I tend to feel like we are being hurried through so they can get to their next appointment. The photographers at Portrait Innovations make getting great photos a priority, even if it takes a bit longer. The best part is that beautiful photos of your family can be yours for a great price! Portrait Innovations always seems to have great coupons available. Portrait Innovations is offering their best spring special ever. 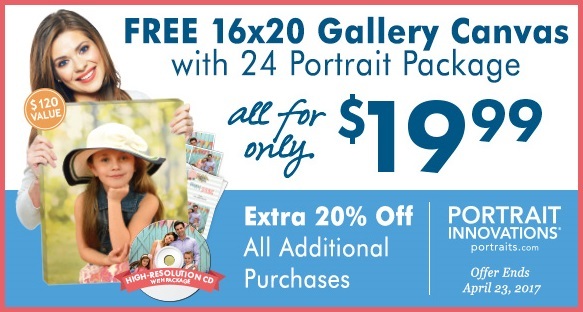 The Spring 24 Portrait Package is only $19.99 plus a Free $100 16×20 Canvas with this coupon! Included in the portrait package is 1-10×13 Wall Portrait, 2-8x10s, 4-5x7s, 4-3x5s, 8-2x3s, and 5-5×7 cards, plus a high resolution CD with your favorite pose. And, you can save 20% on all additional purchases in studio. Portrait Innovations never charges sitting fees so bring the whole family. Appointments are limited so schedule your appointment today! I’m also thrilled to be able to give away a 6-pose portrait package from Portrait Innovations! Enter via the form below. Disclosure: I received product in exchange for posting this giveaway but all thoughts are my own. Every child loves to make their bedroom their own. From choosing the decor to the toys on the shelf to the artwork they display on their walls, being able to personalize their space is important to children and teens. One fun way that kids can do this is with LightHeaded Beds. LightHeaded beds are expertly crafted wooden beds with illuminated back-lit imagery within the headboard. The innovative headboard is designed with an impact resistant LED panel that can be a nightlight, a reading light or a decorative statement piece for your child’s room. The LED panel is dimmable, can be set on a timer, and even fades to off as a night light to help lull your child to sleep. All can be done via a remote control that comes with the bed. And no need to worry about replacing the lights because the energy-saving LEDs last up to 50,000 hours. Best of all, this LED panel can display HeadLightz graphics that can be customized and changed easily for holidays, special events, seasons, or as your child’s interests and hobbies change. There are thousands of interchangeable HeadLight Images for boys and girls at all ages or you can use your own photos or artwork. Each bed comes with a starter Dolphin themed Headlight™ Image valued at $20 as well as a $20 coupon towards another HeadLight™ Image of your choice at LightHeadedBeds.com. Changing the images is easy. You just lift up the top of the headboard, slide the image out and place a new one down into the headboard. The footboard is custom designed as well and features built-in storage for the HeadLight Images. This is convenient and allows you to keep the images in good condition. The bed itself is perfect for all ages and features adjustable height side rails that allow for mattress only or a mattress/box spring combo. This Riviera bed is available in your choice of size and finish, with optional open under-bed storage or trundle. It’s the perfect choice for your growing child’s room! Lifetime products is offering 10% off all beds on their site using the code ‘makingtime4mommy’. The offer is good through March 31, 2017. One lucky reader will win a Riviera Full Bed (in their choice of finish), a starter Dolphin image and a $20 coupon towards an image of their choice at LightheadedBeds.com. If you win the bed, what image would you choose? For an extra entry you may share this giveaway on social media and leave the link as a separate comment below. Giveaway ends at 11:59pm CST on March 12, 2017. Winner will have 24 hours to respond before another winner is drawn. Must be 21 or older and a US resident to enter. Being sick is the worst because, as moms, we don’t get “sick days”. We can’t just say to our children, “sorry, you are on your own today”. Instead, we have to get through the day the best we can and consider ourselves lucky if we find a few minutes of rest while our children are at school, napping or otherwise occupied. I wanted to share a few ways that I get through my sick days which often include a full schedule of school drop-off and pickup, at least one sports practice/game or extracurricular activity for the kids, and a day of working online. Not to mention the things that must get done including helping the kids get ready for school, feeding them dinner, etc. The first thing I do on sick days is decide what my absolute “must do” things are and what things I can skip for the day. The laundry can sit in the hamper another day and I normally will push off any nonessential work on the blog as well. I also try and figure out what things I can do to make my required tasks easier. For example, feeding my children dinner falls under the “must do” category but I can make it easier on myself by calling it a “breakfast for dinner” night or getting takeout so I don’t have to cook something. Next you’ll want to come up with a few ideas to keep your kids busy throughout the day. When I was a preschool teacher I always had a box full of things that only came out on rainy days or days we were stuck inside. This box saved my sanity on those days. Even though the children had seen the toys and activities previously, being put away for a while before being brought back out made the items in the box seem new and exciting and kept their attention for longer than toys that they had been playing with recently. Other ideas include having a special movie marathon day with your kids or enacting a “quiet time” where children don’t have to nap but they have to rest in their beds and read/look at books for a certain period of time. Once you have your day figured out and your kids are occupied it’s time to gather your essentials and relax. I always make sure to have extra blankets on hand because I always seem to get cold when I’m sick. I also make sure to have everything in reach I’ll need like tissues, something to drink, and a snack to eat. You’ll also want to take some medicine to help you feel better. If you are feeling congested talk to your doctor about trying Advil® Cold & Sinus, the #1 pharmacist recommended brand for Cough, Cold and Flu Combinations for Daytime. This over-the-counter medicine combines the relief of a strong decongestant to open your airways with the power of Advil® to relieve the pain commonly associated with sinus pressure. As moms we may not get to take a sick day but we can at least do something to make ourselves feel better while we are sick! How do you get through a sick day? I’d love for you to share your tips in the comments! Leave a comment on this post telling me how you get through a sick day for a chance to win a $25 Visa gift card. Share this post on social media and leave a comment with the link to your social share for an additional entry. Giveaway ends February 7, 2017 at 11:59pm CST. Must be a US resident 21 or older, with a physical address (no P.O. boxes) to enter. Winner will be notified via email and will have 24 hours to respond to claim the prize. Football season is almost over so I’m trying to squeeze in as much football love on this blog as I can. Today I have an amazing giveaway for parents or grandparents who want to share their passion for football with the special child in their life. Little fans will enjoy being pushed around in this Game Day Helmet Ride-In Car from Simplay3, a new company by the founder of both Little Tikes and Step2. This push around buggy is ideal for children ages 9 months to 3 years. It’s made of thick, durable plastic and features a sturdy, removable handle that provides smooth maneuvering and allows for easy storage and transport. What I like most about this ride-in car is that it can be customized to show your team spirit. Helmets can be ordered in your favorite team colors (black, gray, white, red/orange, blue) and feature a football decal. They can also be customized with team decals from your favorite high school, NCAA college or NFL professional team. Even though my favorite team didn’t make the playoffs, I’m still a huge Chicago Bears fan so my favorite custom combo is the blue helmet with the Bears logo. 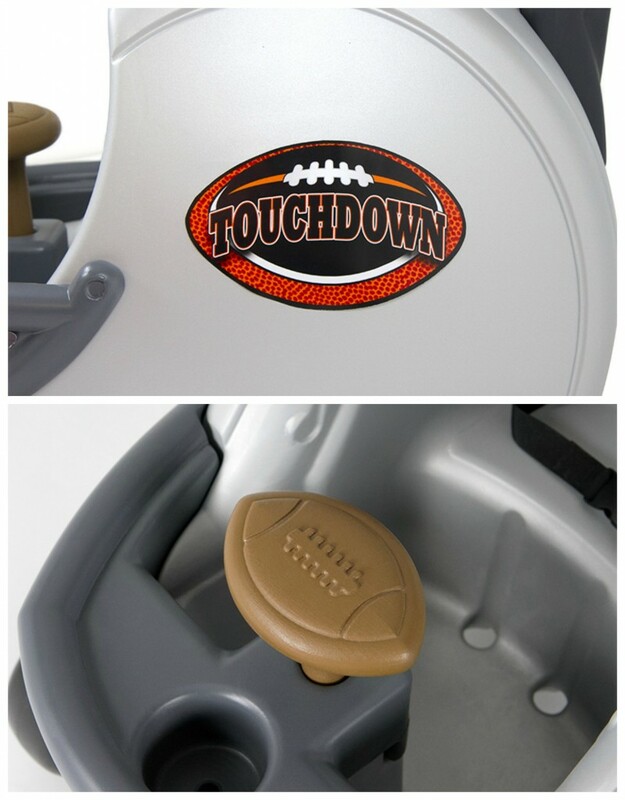 Parents and grandparents will feel safe knowing this has a seat belt for their child and kids will have fun pretending to steer their little vehicle with the built in football shaped toy steering wheel. There is even a cup holder to store your child’s drink or snack so they can have it within arms length. Want to win one of these fun helmets for the little one in your life? Just leave a comment with what helmet color and team customization you’d choose! For an extra entry you can share this giveaway on social media and leave a 2nd comment with your link to the share. Giveaway ends on Super Bowl Sunday – February 5, 2017- at 11:59pm CST. Rules: Entries will be counted from January 23, 2017 to Super Bowl Sunday, February 5, 2017 at 11:59pm CST. The prize is one Game Day Push About Helmet from Simplay3, valued at $79.99 USD. Prize can’t be exchanged for cash value. Entry open to residents of the contiguous United States who are 18 years of age or older as of the start of this giveaway. Winner will be chosen using random.com and will be emailed. Winner will have 48 hours to respond before a new winner is chosen. Prize will be sent to the winner directly from the sponsor of this giveaway. Making Time For Mommy, and the author of this post, are not responsible for any lost or delayed prizes. No purchase necessary. Void where prohibited by law. The number of eligible entries received determines the odds of winning. It’s no secret that I believe in the importance of extracurricular activities for kids and that my boys are very involved in activities they enjoy. One of the main reasons I started putting them in activities was so they could work on their social skills and I’ve shared before how much growth I’ve seen in them over the past few years. I have no doubt that putting them in activities and sports has been one of the main things that has positively impacted them in that area. Lucas in particular, who is on the Autism Spectrum and has had language delays, struggled in his younger years with forming friendships. Not only was he unable to communicate, but the majority of the time he was in his own world. I can remember when Luke was on a soccer team for the first time and, as the season went on, I saw him start to try to talk with other kids. All those hours spent practicing and on the sidelines helped him start to bond with other children. From social skills to teamwork to responsibility, after school activities have proven to be beneficial for us. I’ve been asked before how I find out about activities my kids participate in and, in the past, I’ve shared that I scour the internet for activities. 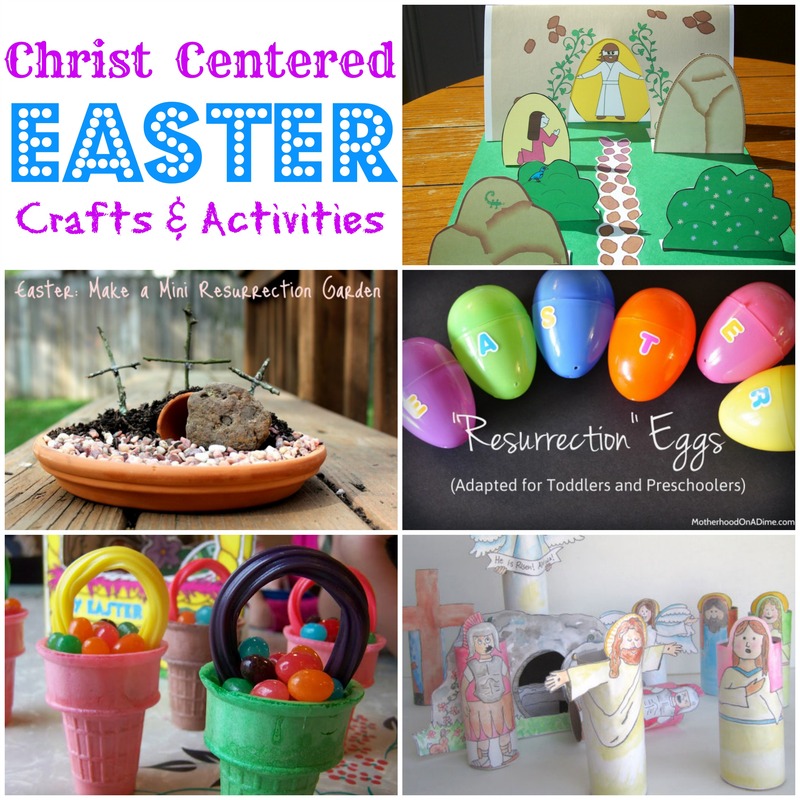 From our school’s website to the community recreation site to local Churches, I hunt down activities I think my children will enjoy. I find a lot of great things but I’ve discovered that it’s so time consuming to do this search every couple of months. Wouldn’t it be great if there was just one site that parents needed to go to in order to discover after school activities for kids? Thankfully there is a resource like that being developed for all of us in Illinois (don’t worry if you live in another state- they will be expanding to other cities in the future)! The Afterschoolz website already has such a great variety of activities listed and more are being added as new activity providers sign up. Parents can find everything from the typical soccer and art lessons to activities that are a bit more out of the box, like anime club and a class on how to make a candy bouquet. Check out what fun activities are listed in your town here. Afterschoolz allows parents to not only discover after school activities available in our state, but to view ratings for the activities as well. Considering a certain summer camp but not sure if it’s a good option? Check out how it’s rated on Afterschoolz to see what other parents thought of the camp! Wondering if a specific dance class has good reviews? Check out what other parents have to say on the Afterschoolz website. Find an activity you want to enroll your child in? Some listings let you book lessons or classes right on the Afterschoolz website! This site is really such a fantastic tool for parents looking to get their children involved in an afterschool activity. Afterschoolz is currently growing and looking to improve their service. To do so, they are asking for feedback from parents who have checked out their website and can offer feedback on what they thought about the site, if they found it easy to use, what they’d like to see added or changed, or really any other feedback parents have about the site. I love when businesses care enough to ask their users for suggestions! As an incentive to offer feedback, Afterschoolz is offering one Making Time For Mommy reader a $100 Amazon gift card! To enter to win the gift card all you have to do is fill out the form with your thoughts on their website/service and then enter the giveaway via the Rafflecopter form at the end of this post. Comments on the form should be a minimum of three sentences and they want your honest opinion, regardless of what that is. First, fill this form out with your feedback on the Afterschoolz website. Thanks for reading and entering the giveaway! I’d love to hear about what sports and activities your children enjoy in the comments below! I’ve really been working hard to improve my photos this past year and I think I’ve come a long way when it comes to photographing stationary objects for my blog posts. Taking pictures of the most important things (aka- my kids) has been a harder task to master. I feel like one of them is always moving or the photos look so forced with their pasted on smiles. I want to take more ‘real’ photos that capture genuine emotions and the smiles that come to their faces naturally. I’m so excited to share about a photography project I’ll be joining over the next year called Shoot Along 2017 which was created by award-winning photographers, Amy Tripple and Heidi Peters. Designed specifically for parents, it encourages parents to remember to pull out their cameras more often to document the every day moments of life. Weekly photography lessons are sent via email to give structure and accountability to busy parents of ALL photography levels and help parents improve their photography skills. Photography Instruction: Week-by-week photography lessons delivered by email. Learn new concepts, build on your existing skills, or embrace topics as inspiration to remain technically and creatively open-minded! Inspiring interviews: Respected professional photographers from around the world give a glimpse into their personal images, sharing pictures of their own families. They will describe how they get shots that are meaningful and authentic. Discounts & trends: The Shoot Along leaders keep an eye on what’s happening in the photography community so that you can concentrate on photographing your family. They’ve also arranged exclusive discounts for members throughout the year from suppliers of beautiful photo products. A Supportive Online Community: The Shoot Along Facebook Group is a supportive online community where members connect & share photography throughout the year. Looking through the images from Shoot Along 2016, I’m inspired by all the parents that have been participating. I see unique angles, unusual crops and tiny details captured in ways I would have never thought of. This is an example they showed on their site of how much techniques and creativity can dramatically improve your photos. Can you believe that these pictures below were taken just seconds apart with the same camera and same lens? “Shoot Along had been a tremendous resource for me. I was new when I joined… my boys see to it that I don’t have all that much time to participate, but I’ve taken away so much in the small amount that I have been able to be involved. I’ll definitely be joining again next year! Want to join Shoot Along 2017? Now is the time to sign up because it starts January 1st! Typically this year long photo project costs $159, but it is on-sale for $129 through January 1st. Sign up here. I also get to host a giveaway for Shoot Along 2017 so one lucky Making Time For Mommy reader can participate for free! See the giveaway below. Since this giveaway ends after the lessons start, I’d suggest signing up now so you don’t miss any lessons and then if you win you will be refunded for what you paid. Disclosure: I received a couple LuLaRoe pieces in return for posting. I live in comfy pants so when I heard about LuLaRoe I was intrigued. Leggings that are comfortable but also stylish and fun? That is this girl’s dream! They get bonus points for being versatile because you can pair them with everything from tshirts to dress tops and flip flops to heels. Though most well-known for their leggings, that are said to feel like “butter”, I quickly came to realize that LuLaRoe not only sold leggings but tops, dresses, cardigans and skirts as well. The great thing is that their designs are flattering on a variety of different body types. The prints are what I think makes this company so exciting. New prints come out on a regular basis that if you were collecting them (and I know some people that do) you’d be able to wear a different patterned item every day for months and not repeat a print. There are literally that many to choose from! Up until recently I had stuck with black leggings because as much as I loved patterned leggings on everyone else, I wasn’t a fan of them on myself. I had to take a hard look at why and realized it was all a body image thing. 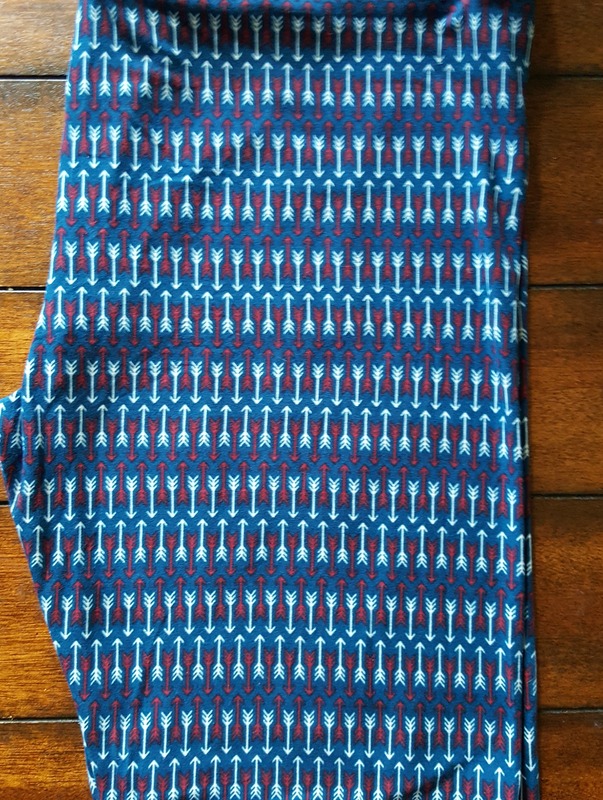 I started to be bolder- getting navy and then gray and just this past week buying my first pair of patterned leggings. Aren’t they the cutest!? Oh, and they also have kid’s clothes as well. They make leggings, dresses, skirts and tops (for girls and boys!) If I had a little girl I’d be broke. Check out the cuteness below! LuLaRoe works a little differently than most companies when it comes to purchasing items. There are no LuLaRoe brick and mortar or online stores you can just shop at and purchase what you want, when you want. This is because all the items are sold by independent consultants and there are only a limited number of each print made. Most consultants have Facebook groups you can join and then items are usually listed individually, or all at once, and the first person to say “sold” gets the item. LuLaRoe’s fun prints are limited to 800-2,500 pieces so once they are out of a print, they are out. Solid colored items will usually be available again in the future but most print items will not be available once sold out (from what I understand). Consultants also hold “pop up” in-home parties and online parties where the hosts get free items and/or discounts depending on how many purchases are made at their party. Want to get started with your LuLaRoe obsession or just want to join another group to have access to more fun prints?! Join Nancy Elizabeth’s Facebook group! She’s a new consultant in the Chicago area and has already had a ton of fun items up for sale in her group. She also shares a lot of pictures for inspiration so you can see how she, and others, style their LuLaRoe. She’s also giving one of you a $25 gift certificate to spend on LuLaRoe items in her group! You can get a pair of leggings or use it towards the purchase of another item. So excited to share the LuLaRoe love with you all! Entering to win is easy. Just leave a comment below telling me why you want to win. 2) Share on Social Media (Facebook, Twitter, etc) and share the link to your share in a comment below. This giveaway ends July 1, 2016 at 11:59pm CST and is open to US residents ages 18 and older. Good luck! Thanks to Flipp for sponsoring this post and giveaway. 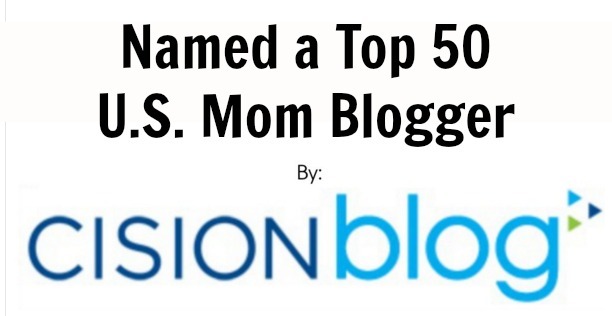 Last Sunday may have been Mother’s Day but Flipp is celebrating moms all month long! Flipp is a free location-based app that brings the most circulars right to your mobile device, delivering all the latest sales from your favorite stores right to your pocket. With Flipp’s in-app shopping list and coupon matching, shoppers can quickly and easily find the best deals on whatever they need, and receive instant savings at checkout! To give back to moms, who give so much of themselves, Flipp created a special #FlippforMom campaign. Throughout the month of May on its Facebook and Twitter accounts, Flipp will host a different giveaway every week! Visit facebook.com/getflipp to learn more and enter to win! In addition to the giveaways going on over on Flipp’s social channels, I am hosting a fun giveaway here at Making Time For Mommy. One lucky person will win a $100 SpaFinder gift card to help make someone’s day a little more special and a lot more fun. To enter the giveaway simply leave a comment sharing why you want to win. For an extra entry, share this post on social media and leave your link to the share in the comments below. This giveaway will end June 1, 2016 at 11:59pm CST. Must be 18 or older and a US resident to win. Good luck! Thanks to Live Nation Chicago for sponsoring this post and giveaway for my readers. The boys are both huge fans of KIDZ BOP and are really excited that their ‘The Life Of The Party Tour’ concert is coming to the Chicago area this Summer. They have never been to a concert other than when they were younger and went to one for a preschool show. Now that my oldest is almost a tween (seriously, how did that happen!?) I think they are going to be wanting to go to concerts more often and I think this one would be the perfect one to start with because it’s aimed towards their demographic and I know they won’t be hearing any bad words. KIDZ BOP, the number one music brand for kids, is bringing The Life Of The Party Tour to FirstMerit Bank Pavilion at Northerly Island on August 7, 2016. The KIDZ BOP Kids – Ashlynn Chong, Sela Hack, Matt Martinez and Grant Knoche – are headlining the tour. The ALL-NEW live show features the biggest pop songs of the year, awesome choreography, and more fun surprises from The KIDZ BOP Kids. The Life Of The Party Tour is the ultimate pop star experience, and the perfect concert event for the entire family! If your child loves Kidz Bop you are in luck because I’m giving away 20 tickets to the Chicago concert! FIVE winners will each win FOUR tickets. I thought four packs were a good idea because then you can go as a family or you can take your child and a couple of their friends. Enter below. Good luck! I’m so excited to finally see high temperatures in the 70s coming up this weekend! I can finally put away the winter coats and boots (hopefully I didn’t just jinx myself!) and get the boy’s sandals and summer shoes out. We received some fun new styles courtesy of See Kai Run that I can’t wait for the boys to show off. 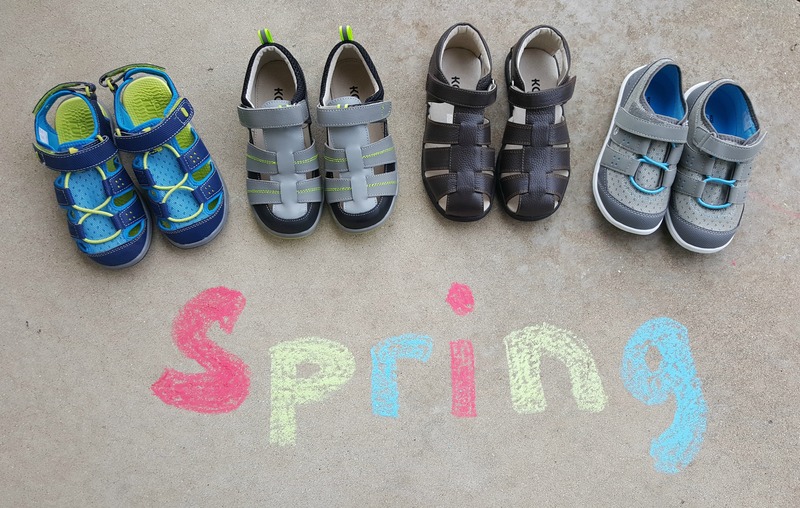 See Kai Run offers footwear for Babies, Toddlers and Big Kids. Their Babies line features Smaller Crib shoes, which are true crib booties for ages 0-18 months, and Smaller Steps, which feature a durable rubber sole designed for those taking their very first steps, sizes 3-6. Their Toddler shoes (See Kai Run) are for sizes 4-9, and come in leathers, sneakers and their washable Runners. Their Big Kids, (Kai) shoes come in whole and half sizes 8-3y and also come in leathers, sneakers and washable Runners. The quality of these shoes is amazing. Their shoes are made with buttery-soft leather with breathable leather lining and feature flexible soles which are perfect for children’s growing feet. Most of the shoes are made with a durable rubber sole for outdoor play and their Runners feature water friendly materials and are made for aqua play. I love that most of the sandals have a closed toe which is perfect for camp and school since they don’t allow open toed shoes. The footbed of the shoe is molded to fit their feet well and wide openings and wide toe boxes accommodate even the chubbiest little feet. Hook and loop closures allows for adjustable fit and easy on and off. Giveaway ends May 14, 2016 at 11:59pm CST. Must be 21 or older and a US resident to enter. Happy National Little Red Wagon Day! 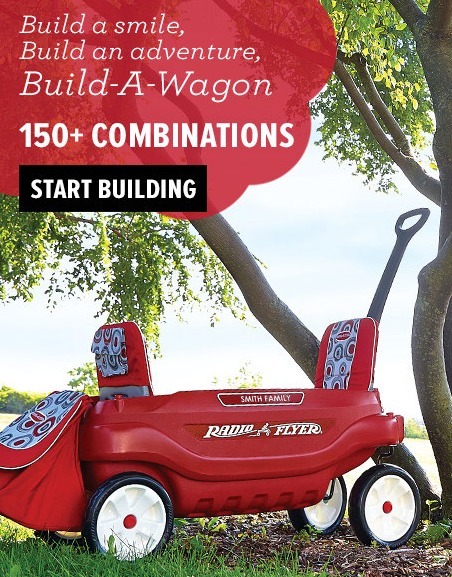 I’ve been a fan of Radio Flyer’s little red wagon for years and am excited to be working with them on this sponsored post to celebrate this special day. For over 99 years, Radio Flyer has been helping make happy memories. Whether it carried loved ones on a trip to the zoo, goodies for a picnic at the park, or sport equipment for a day of little league games, the little red wagon held it all. For many kids it became much more than something used to transport people or things, it became a pirate ship, an ice cream truck and anything else children could dream of using their imaginations. Take a look at the video below and you’ll see what I mean. 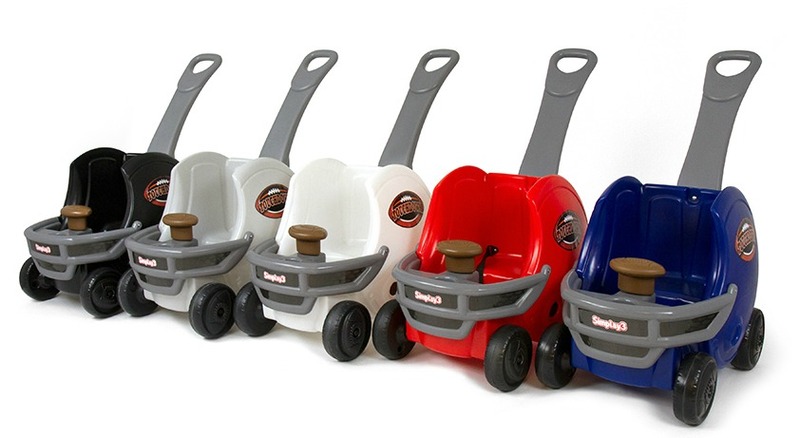 I recently learned about Radio Flyer’s Build-A-Wagon platform that lets people customize and personalize wagons. There are over 150 combinations you could create, with everything from umbrellas to an mp3 player to padded seats. The hardest decision for me is deciding which wagon I want, the classic wooden one or the modern one with seats. Here are two I customized. Which one is your favorite? When I was younger, I would accompany my mom to a lot of in-home sales parties. My favorite one was the Tastefully Simple party because I enjoyed sampling everything. I loved their Bountiful Beer Bread Mix and also the sweet, fluffy fruit dip that her friends always made. I haven’t had Tastefully Simple products for years but today we made some of the items from their new Easter Celebration menu collection and the memories all came back as the bread baked in the oven. It smelled so good and tasted just like I’d remembered. Tastefully Simple is helping make Easter easy by selling a kit full of products made to help you create a memorable Easter dinner. They also provide recipes and the shopping list. To enter this giveaway please share this post on social media and leave a comment below with why you want to win and a link to your social share. This giveaway ends Sunday, March 20, 2016 at 11:59pm CST. As a member of the PTA at my boy’s school, I know that raising funds for schools is a lot of work. It seems that our school is constantly doing fundraiser after fundraiser and it takes a lot of work to make them successful. Thankfully there are companies that help schools raise funds without parents having to put in hours of hard work. Red Robin is one of those companies. With their Burgers for Better Schools program, Red Robin Royalty members (those who are part of the free loyalty program) have an opportunity to support local K-12 schools simply by dining at participating Red Robin restaurants and using their Red Robin Royalty member account. When a Red Robin Royalty member’s account is presented at the time of purchase, Red Robin will donate one percent of the total bill to their school of choice (excluding taxes, gratuities and gift card sales). This means, instead of buying some overpriced wrapping paper, I can raise money for our elementary school simply by going out and enjoying a wonderful lunch or dinner with my family! It’s so easy to sign up for, too. Just sign up for their loyalty program and go to the Burgers For Better Schools dashboard where you can choose which school you want to support. Then, when you go to dine out, just give your Red Robin Royalty member number and a portion of proceeds will be donated to the school you have chosen. Members who have opted into Burgers for Better Schools can follow their progress in supporting a K-12 school of their choice on their Red Robin Royalty account dashboard. Details include individual contributions, how many others are supporting that school, and total donations raised by all supporters. Want to support your school while enjoying a meal out? Enter my giveaway below! Make sure to sign up and make sure to select your child’s school on the site before you visit Red Robin! Enter to win a $75 Red Robin Gift Card! Giveaway ends October 10, 2015 at 11:59pm CST. Must be a US resident to win. No PO boxes. Back to school presents certain challenges. For me, one of the biggest challenges is making the kids school lunches in ways they are always eaten and never boring. Kids get bored with food easily and staying creative can get tough. Luckily I have 2 boys so the easiest creation is a timeless one, the sandwich. Even in today’s times, the sandwich is still king of homemade lunches. 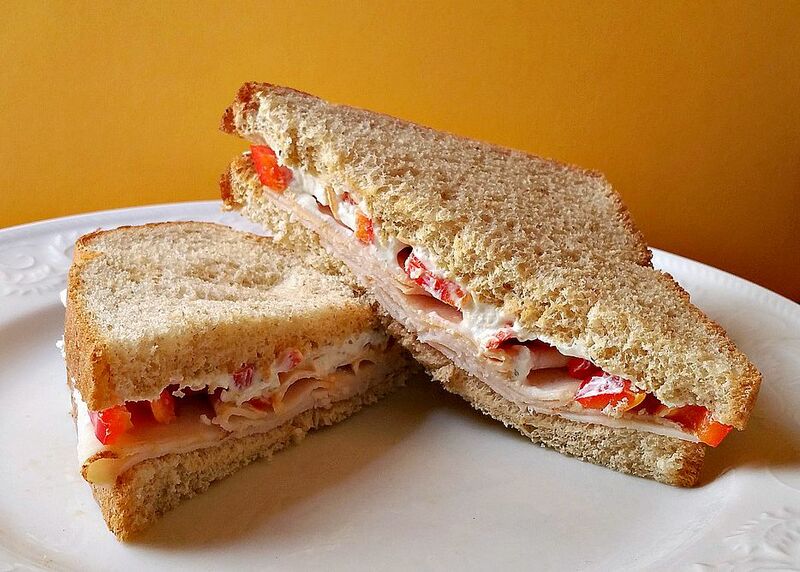 The key ingredient to a great sandwich is not what is in the sandwich, but the bread. My kids love bread so for their sandwiches I have to choose the bread very carefully. As my boys are growing it is important to choose better quality breads and we have discovered a great brand called Nature’s Harvest®Bread . Nature’s Harvest® Bread is Nature’s Gift to your family. Your family gets the wholesome goodness you can feel great about serving them – like oatmeal, stone-ground wheat, honey, grains and seeds- without the high fructose corn syrup you don’t want to give them. My kids tend to like simple sandwiches so I chose a few of their favorite ingredients to make something easy yet flavorful. Both boys like chicken so I chose to go with that for the meat (though turkey probably would have worked as well). Instead of mayo or mustard and cheese I decided to use an herbed cheese spread to give it that creamy taste we all love. The spread is also very kid-friendly so the boys can help make the sandwiches. 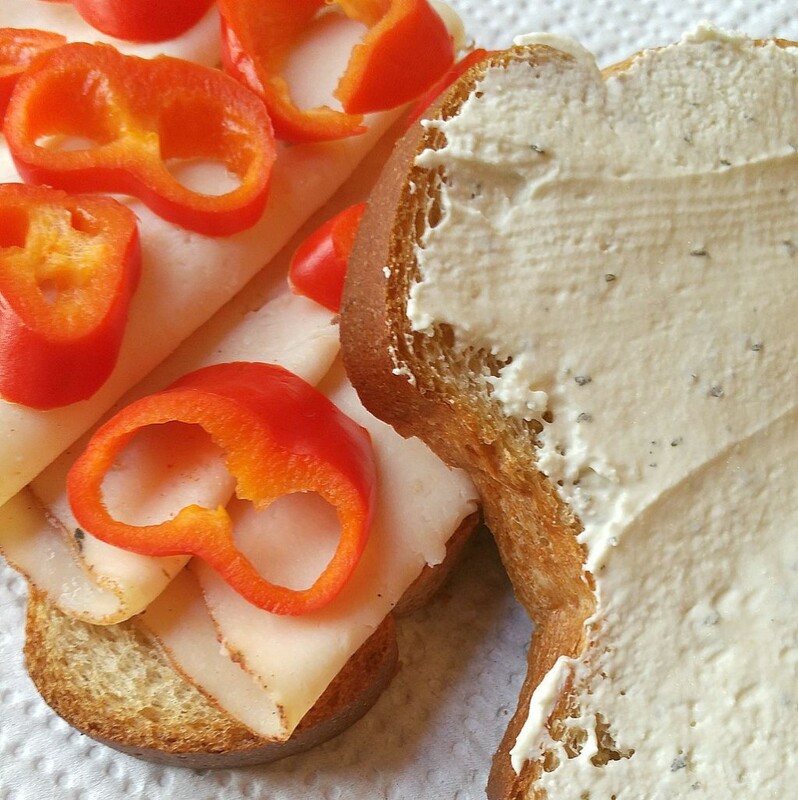 For a little crunch I added red peppers since Jacob loves them and I thought it would add a little color to the sandwich. 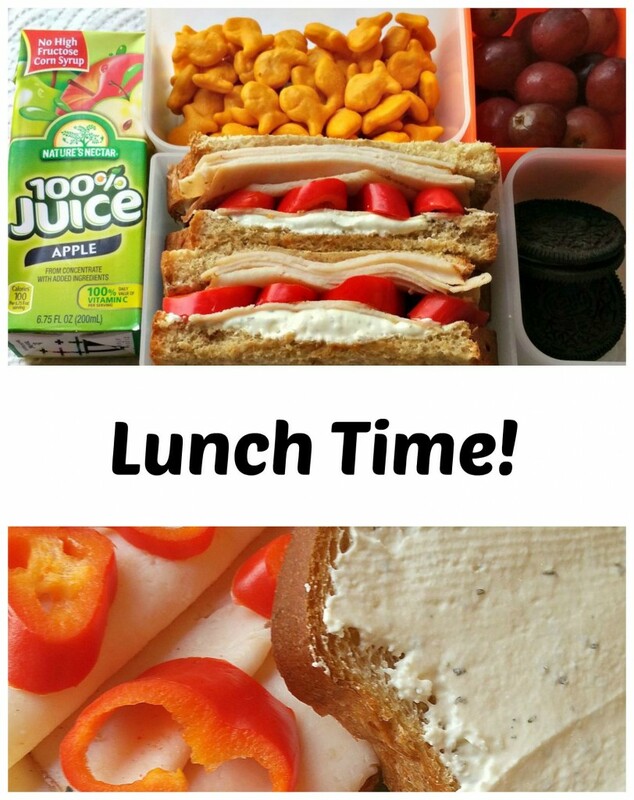 Once the sandwich was made the boys chose their sides and grabbed a juice box and just like that lunch was ready! Nature’s Harvest®Bread has kid approved taste and texture and I love that it’s so good and healthy for them. 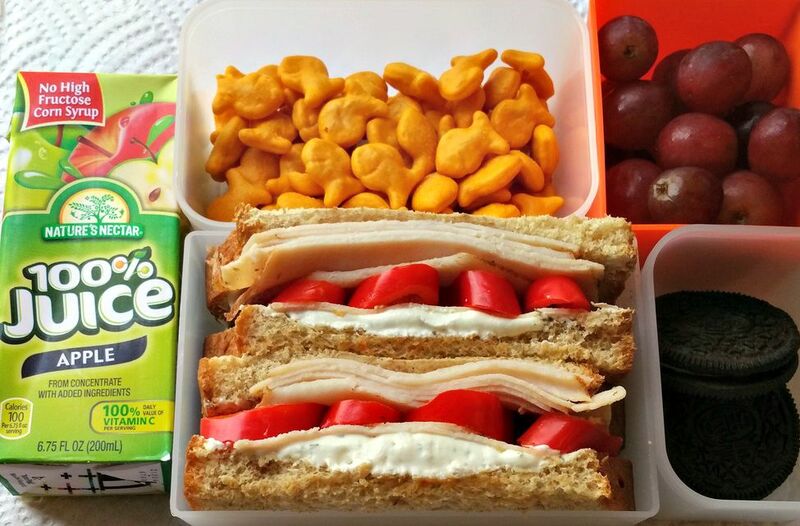 What do you pack in your kid’s lunch? Giveaway ends September 20, 2015 at 11:59pm CST. Must be 21 or older and a US resident to enter. Do you have an insane amount of holiday decor in your garage? Or maybe you have shelves full of camping gear? If your garage is anything like mine, you have way too much you are trying to store alongside all the kid’s bikes and you can’t even fit both cars inside your garage. I am so excited to be working on the #MoreSpaceInNoTime campaign and hosting one of six amazing giveaways around the country. If you live in Chicago I’m giving you a chance to win a 4′ x 8′ overhead storage unit valued at $329! This professionally installed product takes less than an hour to install and provides 96 cubic feet of storage. This storage unit is an efficient way to restore your garage space – and perhaps your sanity! To learn more about the storage units please visit Doors by Russ, the Chicago authorized dealer, here. For a chance to win a storage unit of your own…. Leave a comment below telling me what storage issue this will solve for you! Giveaway ends July 20, 2015 at 11:59pm CST. WINNER MUST LIVE IN THE CHICAGO AREA. Thank you to Reading Is Fundamental for sponsoring this post! We’ve been working hard on the reading skills this summer. Every day, after playing at day camp, I have the boys pick out a few books and sit and read (if they need incentives check out this list of summer reading programs). Jacob reads out loud to himself and Lucas, who isn’t yet reading words, looks at the pictures and tells the story he thinks the words are saying. This quiet time looking at books is so important in making sure that they don’t lose reading skills while school is out for the summer. Have a “book-nic.” Grab a blanket, snacks and books to celebrate a beautiful summer day. Use sidewalk chalk to make a mural with your family. Don’t forget to title your masterpiece. Play easy work or rhyming games with your child. Visit the library and check out books for the entire week – pick one about birds or insects and go on an adventure walk to see if any live in your neighborhood. Reading is contagious – let your kids see you reading books, magazines and even cereal boxes! Play the alphabet game by finding letters starting from A to Z while in the car or on a walk. Summer is an important time when students can either get ahead or fall behind academically, depending in large part on their resources and opportunities. All students have the potential to lose some of the learning from the previous school year – this is especially true however, for students from economically disadvantaged communities who don’t have access to books and enrichment experiences. Students who lose reading ability over the summer rarely catch up – existing research shows that 75% of students who read poorly in 3rd grade, a benchmark year for literacy skill building, remain poor readers in high school. The key to helping children maintain or improve their literacy skills over the summer is providing access to quality books they can choose based on personal interests. When children have lots of interesting books readily available to them, they are motivated, empowered and inspired to read. Reading Is Fundamental is really such a great cause. RIF has many supporters and through July 12th, Macy’s is raising money for this non-profit. Give $3 at any Macy’s register in-store to help provide a book for a child in need. As a thank you, Macy’s customers get $10 off a purchase of $30 or more, PLUS 20% to 15% storewide. 100% of the proceeds go directly to RIF to provide books and learning resources to children who need them most. Customers not only give children the opportunity to build their literacy skills, but also the opportunity to experience the magic and power of books. I hope you will join me in supporting Reading Is Fundamental. They are offering some great prizes for giveaway with a total of FIVE winners! 4 people will each win a $25 Macy’s gift card and one person will win a $25 Macy’s gift card and a mini-book collection. Disclosure: This post is sponsored by Meijer. When you are a parent there are countless movies you end up watching with your kids. One movie that both my kids and I absolutely love and watch over and over is MARVELS AVENGERS. Full of action and adventure and funny lines, it is a memorable family movie. The best part for the kids is all the superheroes are in it together. 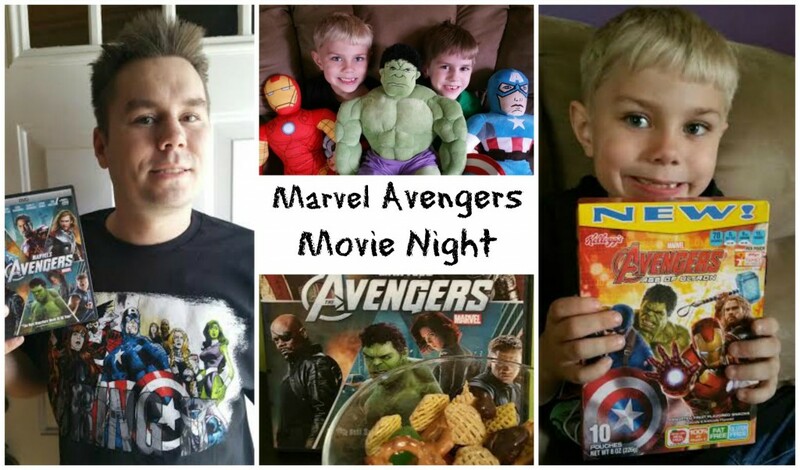 As the new AVENGERS:AGE OF ULTRON movie comes to theaters May 1st we decided to have a family movie night and watch the first one again. To make the night more fun we headed to our local Meijer for snacks needed for our Avengers themed party. My older son Jake was quick to find the Avengers fruit snacks and just had to have them. Luke my youngest hit the cereal aisle and pointed out that there were lots of Kellogg’s cereal boxes with Avengers images on them. Both boys wanted to buy multiple boxes each because they learned they could get free movie tickets. For every six codes collected we could get a ticket to see the movie they are so excited to see. In preparation for our movie party, Meijer sent us a few items to showcase what is available to buy in their stores. The boys loved the stuffed super heroes and the blankets. Perfect companions for watching movies and bedtime. For the movie night we wanted to have a tasty snack besides just the popcorn so the boys helped create their own snack mix. We used Kellogg’s Crispix cereal, Nestle Raisinets, pretzels and Kellogg’s Avengers fruit snacks. The boys were thrilled to have created a snack they liked eating. Spending time with my boys is always very important and bonding over something as simple as a movie just creates special memories. We all wore Avengers T-shirts to celebrate the movie and talked about the heroes and the villains in the first movie. After re-watching it, the boys were telling me all about what they thought is going to happen in the new Marvels Avengers: Age of Ultron movie. Now we are patiently awaiting May 1st. Everyone is geared up and excited and the boys are already talking about the next movie night we are going to have. Something tells me we might even have a Marvels Avengers theme birthday party this year. Let me know if you have a movie night party with your kids, I would love to hear about it. Giveaway ends May 10, 2015 at 11:59pm CST. Must be a US resident and 21 or older to enter. Disclosure: The Walmart gift cards and information have been provided by P&G. It is finally spring! For my family this means we are spending more time outdoors. The kids have sports and activities so we are constantly on the go and that means I have less time to run my typical errands, like going to the store. Luckily I shop at Walmart so I can stock up and save on my family’s favorite P&G products with amazing savings. 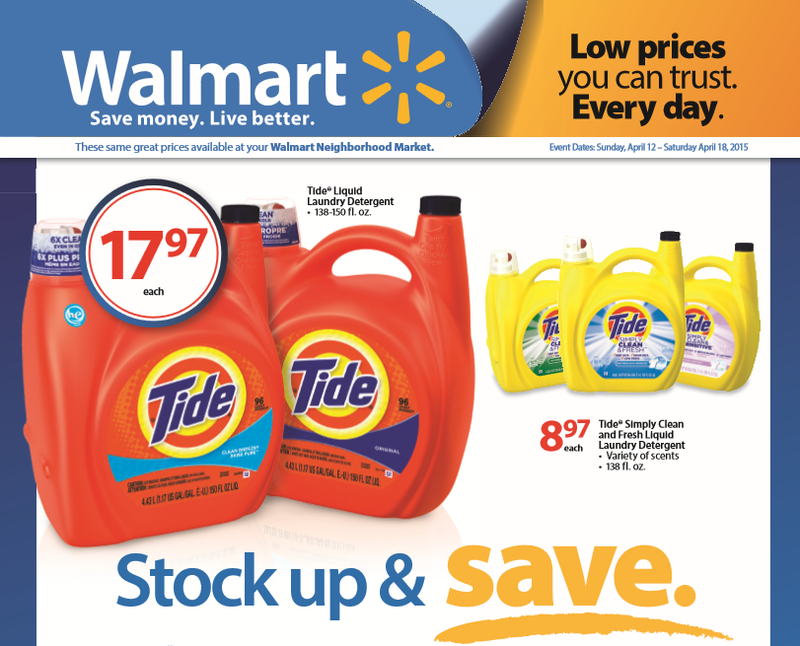 For a limited-time, Walmart has rollbacks and guaranteed low prices on our favorite P&G products, such as Tide laundry detergent, Charmin toilet paper, Bounty paper towels and more. The P&G line of products ranges from laundry detergents and paper towels to baby diapers. The stock up sale runs through Thursday, April 30th, 2015 . The most important essentials I love to stock up on are paper towels and toilet paper. Everyone knows that when you have smaller children they always overuse both. My boys are 5 and 6 and they go crazy with the toilet paper. Those were the first things I intended to buy in order to stock up and save with Walmart. Buying paper towels and toilet paper and even laundry detergent is easy. The challenging purchase for any guy is buying tampons. P&G and Walmart definitely make that an easier task. Just stock up and then not only do you save money, but you only have to go to the store once. No more emergency runs to the store to get tampons when she runs out. No matter what essential items you need to stock up on there are many choices and the shopping is made easy at Walmart’s Stock Up and Save event. So spend less money and time at the store and more time enjoying the warmer weather. Giveaway ends April 30, 2015 at 11:59pm. Must be 21 or older and a US resident to enter. Americans’ love affair with their cars is well documented, along with the dollars they spend each year to keep them running. This is particularly evident in the winter time when the harsh elements can challenge even the most conscientious car owners. One thing’s for sure: keeping your vehicle in good condition will ensure a safer ride in the short term and a higher resale or trade-in value down the road. So, before the cold weather takes hold for good, here are some tips to help your vehicle weather just about any storm! 1. A clean car is your first line of defense against winter. While the winter season typically takes a toll on your car, proper maintenance can go a long way to preserving your investment. For example, according to the International Carwash Association®, getting a new wash and a fresh coat of wax before the temperature starts to fluctuate can be your first line of defense against winter elements like ice, salt, sand and slush. Vehicular corrosion also occurs most quickly when temperatures rise and then fall below freezing. That’s why most auto manufacturers recommend getting your car washed and waxed at a professional car wash twice a month, especially during the winter. Using a WaterSavers® Car Wash can is a strong first step to ensuring that your car will be ready to withstand the winter elements – inside and out. It’s also a great way to protect the environment. For example, these car washes typically use only 40 gallons (151.5 liters) or less of fresh water per car wash. Learn more and find a WaterSavers wash at Washwithwatersavers.com. 2. Rotate your tires. Most people know they should get their oil changed every 3,000 miles, but many forget their tires need maintenance as well. Tires should be rotated before winter and then again every 6,000 miles. 3. Add some winter weight to your oil. Changing your oil and filter is especially important during the winter. Drivers who live in a colder climate should consider changing to heavier, winter-weight oil during the winter months. 4. Take care of your wiper blades. Your windshield wiper blades are your first line of defense when the snow starts to fly. Make sure your wiper blades are in good, working order and replace them if you have doubts. It’s better to make this change now instead of finding out your blades aren’t working when you really need them. 5. Take your car in for a tune-up. Any noises, pings or sluggish starts you currently notice will only intensify as the temperature drops. It’s best to get your vehicle in for a tune-up as soon as possible to get any issues addressed. 6. Give your steering some power. Check your powering steering fluid each month, and make sure the car is warmed up before you do so. If you find the level is low, look for leaks in the hoses or pump. Low power steering fluid will make your car more difficult to steer, which is something you’ll want to avoid as the roads get slick. 7. Protect yourself from carbon monoxide. Carbon monoxide leaks are dangerous at any time, but they are especially deadly during the winter when you will be driving your vehicle with the windows closed. Have your exhaust system checked to make sure no leak exists. 8. Apply the brakes. Besides the seatbelt, your car’s brakes are its most important safety feature. This is especially true in the winter when slippery conditions can make stopping difficult. Before the first snow fall, bring your car to an experienced mechanic to verify that your brakes are ready for the season. Cold winter temperatures mean vehicle maintenance is even more important. By following these simple tips listed above, you’ll be able to ward off winter’s harshest advances, protect your investment and those who ride inside of it. 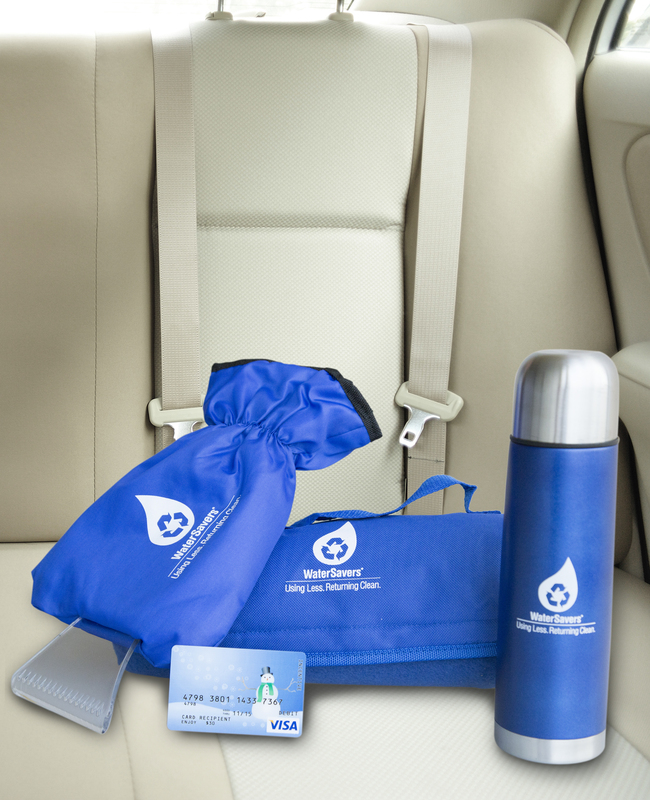 To learn more about protecting the value of your vehicle, visit Washwithwatersavers.com. Giveaway ends January 20, 2015 at 11:59pm CST. Must be a US resident to enter. Target is my favorite store so I’m excited to be working with them on this sponsored holiday post and giveaway. I can never seem to get out of Target without a cart full of goodies, so when I saw the holiday kitchen and entertaining aisles I knew I was in trouble. This is our first Christmas in our new home so it was the perfect time to add some seasonal items to our kitchen. Everything was so adorable and many of the things would be perfect for making my home festive while entertaining family and friends this month. One thing my family likes to do is get together to decorate cookies. We bake sugar cookies and then let the kids decorate them however they’d like to with frosting, candies and sprinkles. Normally the toppings are in plain bowls but I love these Threshold stoneware bowls. Though they are red and white I can use them year round since they aren’t too Christmasy. We also like to make peanut butter kiss cookies. The kids unwrap the hershey kisses for me. It’s their favorite job because they get to sneak a few candies while mommy isn’t looking. Target has lots of cookie plates. I picked up a couple along with a cookie jar since we always have dozens of Christmas cookies during the holidays. Another thing I made for holiday guests this year is a mini hot cocoa bar. I put hot cocoa mix in a big glass jar, marshmallows in a mason jar, and then set mugs out. I used a large gift tag and red ribbon to add a little holiday cheer to the setup. I love how much more festive my kitchen looks now! I think it is so welcoming and I can’t wait for family to come on Christmas day to celebrate with presents, cookies and mugs of hot cocoa! How can Target help you celebrate the holidays? Tell me what you pick up from my favorite store to make your Christmas, Chanukah or New Years celebrations brighter for a chance to win a gift card! One reader who comments with their answer below will win a $75 Target gift card. You can earn an extra entry for sharing this post on social media (just leave a second comment with the link). This giveaway ends December 31, 2014 at 11:59pm CST. Must be a US resident and 21 or older to win. Thanks to Betty Crocker for sponsoring this post and giveaway. 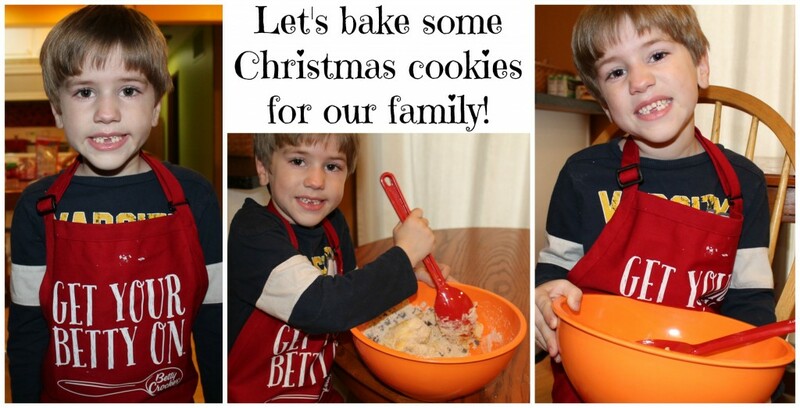 Betty Crocker wants to encourage you to spend some time in the kitchen with your loved ones this holiday as well! 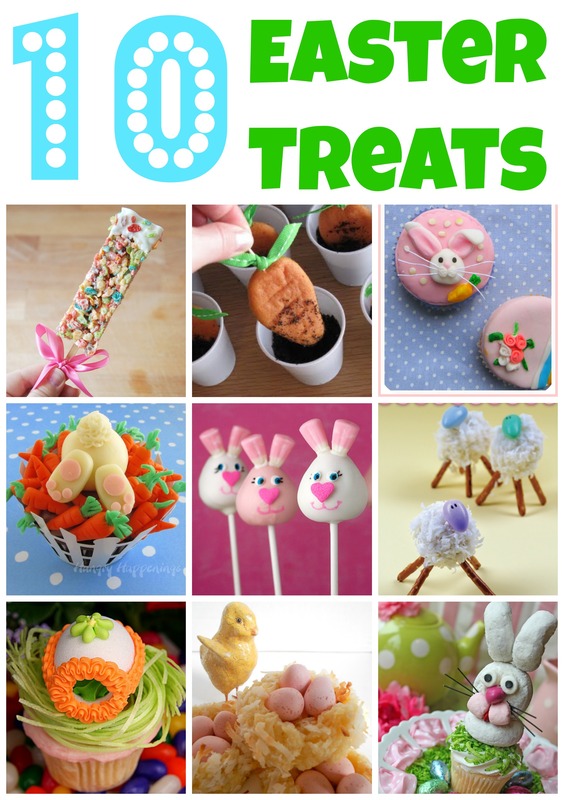 They have created a “kid’s corner” on their website and shared the top 10 cookies for kids. Each recipe also has a short how-to video as well. Tweet your cookie creations with the hashtag #GetYourBettyOn to share them with the folks over at Betty Crocker! Giveaway ends December 15, 2014 at 11:59pm CST. Must be 21 or older and a US resident to enter. One of my favorite stores to shop at for Christmas gifts is Kohl’s. There is something for everyone on the list. I shopped online at Kohls.com on Black Friday and Cyber Monday. One thing that draws me in at this time of year especially is the sales. Why stand in line for hours on Thanksgiving or the wee hours of Black Friday when Kohl’s has amazing deals + 20% off codes + $15 Kohl’s cash and I can shop from my couch?! Early last week I felt so behind because I had not purchased one single thing for Christmas but now, one week from Black Friday, I’m about halfway to being done. I don’t have a ton of people to buy for which is nice. Most of my money is spent on my children and then I also buy gifts for my immediate family. From Kohl’s I’ve bought the video games my boys wanted, a building set, Christmas shirts for holiday pictures, gifts for my niece and even a gift for myself! How is your Christmas shopping going? If you are one of the many moms I know who has a list full of Disney Frozen items to buy you need to head to Kohl’s and check out the whole line of Frozen items. Through Monday (12/8/14) there is a wonderful family & friends sale. Kohl’s cash is back and if you spend more than $100 you get 25% off your order. Since I’ve shared Disney Frozen gifts for the kids over the past couple of months (see here and here), I thought I’d share some gifts for the whole family can enjoy (even those of us who just act like kids ;) lol). How perfect would this waffle maker be for a family breakfast before a day of playing in the snow? This game would be great for family game night! The whole family can play a little game of Frozen basketball while staying warm indoors. Start a new family tradition- family karaoke night! With over 800 unique Disney Frozen gift ideas, Kohl’s will help you get your Christmas shopping done so you can spend the days cuddling with your kids or having a snowball fight instead of standing in line. Which is your favorite item from the Disney Frozen collection on Kohls.com? To get you in the shopping mood head on over to see the Kohl’s Holiday commercial featuring the winner of the Disney Frozen Sing Your Heart Out contest! America voted Long Island sisters Katherine & Kelly Montenero the winners. See the winning video here. Here’s something else to make shopping easy…a $100 Kohl’s gift card giveaway! It’s easy to enter. Just leave a comment telling me why you want to win. For an extra entry you can share this giveaway on social media (just leave a second comment saying you did so). Giveaway ends December 11, 2014 at 11:59pm CST. Must be a US resident, 21 or older to win. Good luck! Kids love building toys. Last Christmas I shared a top 10 building toys for preschoolers list and today I’m excited to be sharing more about one of those toys that made that list- K’nex! Check below for a giveaway to enter to win your own set. The boys enjoy playing with K’nex and the set we were sent from American Certified is the biggest set they have. An instruction booklet with over 70 ideas comes with the set but my boys love making their own creations. Cars seem to be a favorite when they build something specific. The sturdy cardboard box makes it easy to store and all of our K’nex sets can fit nicely in this one treasure chest which makes cleaning up easy. The box says these specific K’nex are for ages 7 and up but my five year old has no problem using them. If you have a younger child there are other sets called “Kid K’nex” that might be better for them. Hosting Thanksgiving this year? What if I told you that you could have a delicious Thanksgiving meal cooked and on the table in less than an hour? Now THAT is something to be thankful for because it means you can get out of the kitchen and do more important things like spend time with family and watch football (especially since my Chicago Bears are playing!). Sinisa headed to our local HoneyBaked Ham store and picked up ham, turkey, five different side dishes, a Pecan pie and a dessert tray. Everything but the turkey was ready to heat up in the packaging they were in which meant less dishes for me to wash. To make things even easier, the ham and turkey came with detailed instructions on how to heat up the meat. 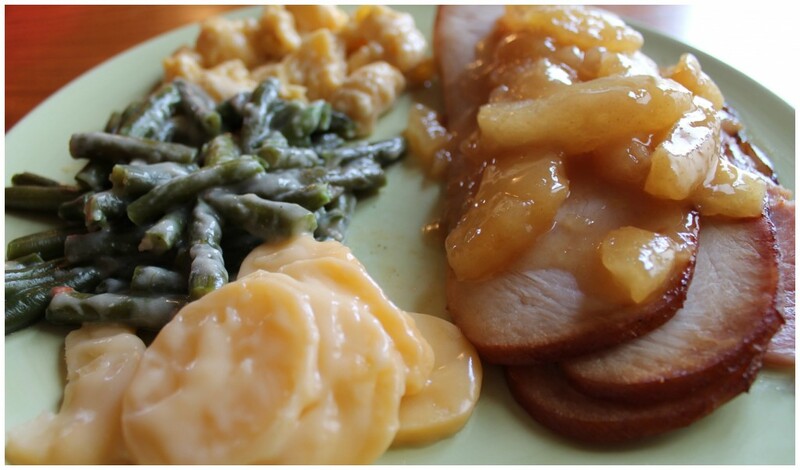 The very best thing about the Thanksgiving meal, as everyone knows, is the leftovers. We had four adults and four children for dinner and we didn’t even eat a quarter of the food we bought. That means I have a week worth of delicious leftovers. Today I made myself a plate of food for lunch but for dinner I’m making turkey sandwiches, one of my favorite ways to use up the leftover turkey. 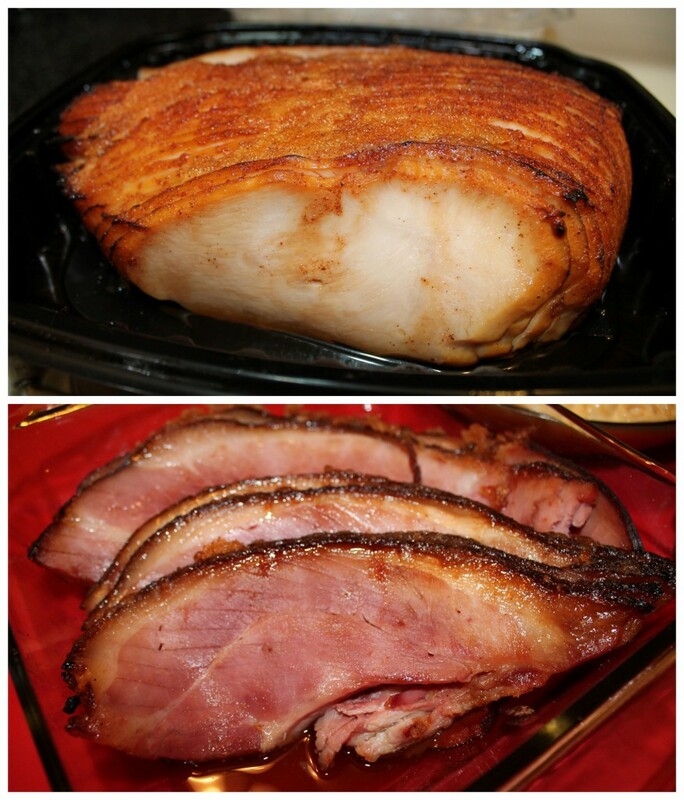 I’ll share more about the sides and desserts in my next HoneyBaked Ham post so stay tuned! 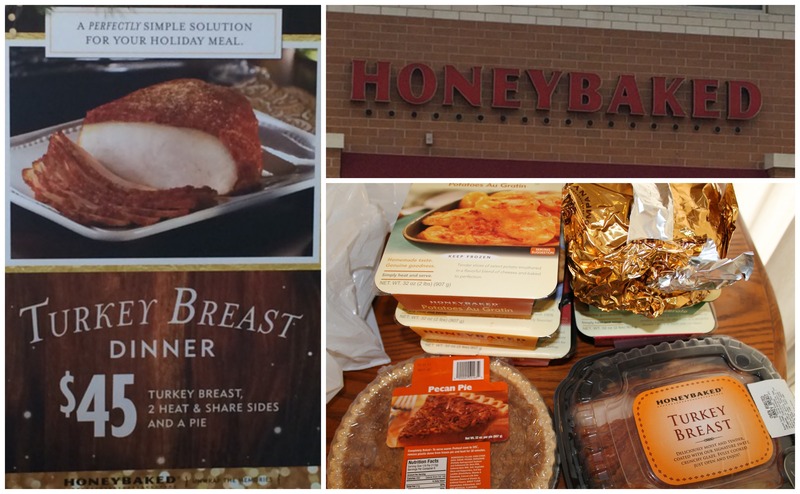 From now until 1/11/15 you can enter to win a $25,000 HoneyBaked Kitchen Makeover when you buy a Ham and Turkey Breast bundle. 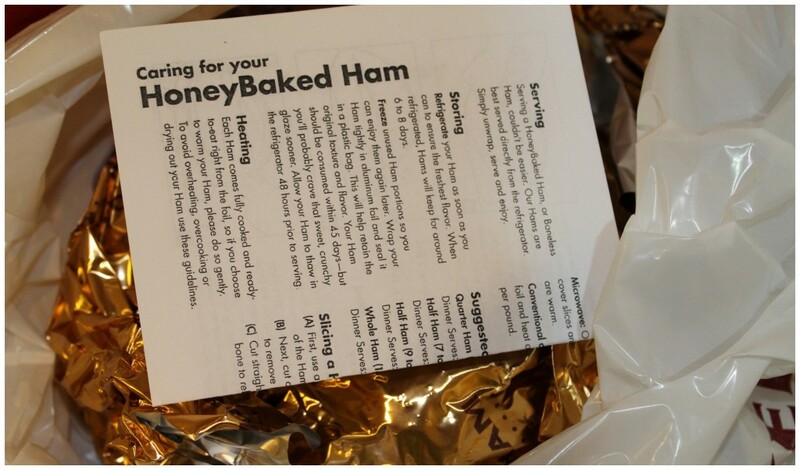 HoneyBaked Ham is giving away $500 in Gift Cards to some of your favorite places! You can enter below! Thanks to Crayola for sponsoring this post and giveaway. It’s football season which means lots of fun family get-togethers. I love watching football but if you have kids who aren’t huge fans, I have a great idea to keep them busy! Make a fun craft bucket and give them the chance to let their imaginations run wild! This also makes a wonderful gift for the little crafty one in your life. My children, my nephew and my niece had so much fun creating with the items in this bucket. Want to learn how to make your own craft bucket? It’s easy! First, I headed to Target’s dollar section to find a bucket that would hold everything. While there I found some little blank books, a coloring book, rolls of craft paper, craft supplies, and containers. I then headed to the craft aisles and filled my cart with Crayola products. What a great selection of items they had! As a previous pre-k teacher, I love open ended crafts so I made sure to include plenty of craft supplies. I even added a little frame for them to decorate which Lucas really liked gluing things on to. I put the stickers, googly eyes, pom-poms and pipe cleaners in containers with compartments so they were easy to use and keep organized. To decorate the plain white bucket I cut up garland I found on clearance and taped it on the bucket. It was quick, easy and cheap to add a little color to the outside of the bucket! Fun, right?! I loved seeing how creative the kids were. My nephew made up his own story book and was very proud of what he’d created. I have fond memories of creating my own books in grade school so when I saw these books I just had to get them. My favorite Crayola products are their crayons but the kids couldn’t get enough of these little character Pip Squeak markers. Giveaway ends October 3, 2014 at 11:59pm CST. Must be a US resident and 21 or older to win. Sinisa and I got to go on a date this past weekend which was so nice because quality one-on-one time is so rare. 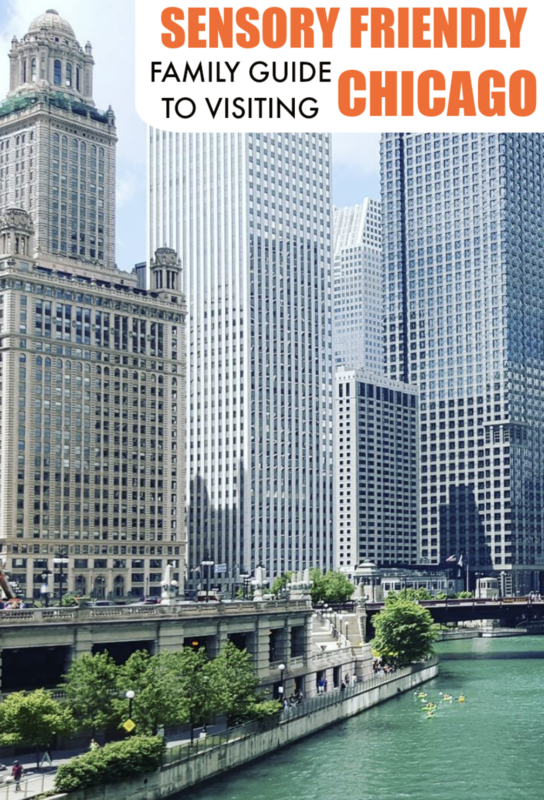 AEROSOLES sent me a pair of shoes and gave me some spending money to go out so we headed to Chicago to enjoy the warm, sunny weather before Chicago turns into “Chiberia” again. There are so many things to do in the city and most of them we don’t get to experience with the kids so we took full advantage of the day and tried to cram as much as we could into our afternoon. First we stopped for lunch at Da Lobsta. I had my first Lobster Roll in Boston back in July and I’ve been craving one ever since. If you love lobster this is a must-stop lunch place! We then decided to head over to Navy Pier. After we walked along the Pier we took a taxi over to Millenium Park. We walked along the path that went by the garden area, watched families splash in the huge fountain area and stopped at “the bean”. The park was pretty busy because there was a festival going on. We ended up at The Park Grill’s outdoor patio where we enjoyed drinks and an appetizer. I had almost forgotten how nice it was to sit and just talk without being interrupted! It started getting late so we headed back to the Pier and home to pick up our babies. It’s amazing what half a day can do for a person and a relationship! I felt calmer and more connected. All this walking and relationship building wouldn’t have happened without my AEROSOLES shoes! AEROSOLES designs women’s footwear featuring exclusive technologies that deliver the most comfortable shoes possible. They feature unique “Diamond-Flex” soles that absorb impact and disperse friction with every step and “Stitch ‘N’ Turn” technology which creates the MOST flexible and comfortable shoes possible; with no break-in time required. I really loved how comfortable they were. Many times when I wear flats, the bottoms of my feet hurt after a few hours, almost as if I’d been hitting the pavement barefoot. I didn’t feel like that at all with these shoes. My feet were well cushioned. Want to try AEROSOLES yourself? Enter to win a $50 AEROSOLES gift card below! Giveaway ends September 20, 2014 at 11:59pm CST. Must be a US resident and 21 or over to enter. I love celebrating special occasions, even the littlest of ones, with special outfits. I do this when we go to events, have themed parties and when new movies come out. When we went to see Cars 2 in theaters, the boys had special Disney Cars shirts that they wore. With Disney Planes: Fire & Rescue coming out on July 18th what better way to celebrate than with special shirts and toys? We are all ready for the new Planes movie now! We even got two of the character toys to play with while we wait patiently for the movie to come out. We found the toys on the same racks with the clothes. Along with being a fun collection, I love that the clothes are well made. Since the boys are only one year apart (and both born in June), Luke can wear Jake’s hand-me-downs. I have confidence that these clothes will last a couple years. Kohl’s always has great deals as well- between weekly sales and Kohl’s cash. My kids look cute and I save money. What could be better? Want a chance to shop the collection yourself? One lucky winner will win a $100 Kohl’s gift card! Easy entry and you can earn extra entries for sharing the giveaway! Giveaway ends July 1, 2014 at 11:59pm CST. Must be 21 or older and a US resident to enter. Celebrate the beginning of summer with six new DVD titles from Nickelodeon. Nickelodeon’s animated stars know how to have fun in the sun, so join favorite characters like SpongeBob SquarePants, Dora the Explorer, the Bubble Guppies, and the PAW Patrol pups for some summertime adventures. Each of these DVDs are available at retailers now and one lucky winner will receive a prize pack of all these great titles! From the beach to the circus, to a night under the stars, join the Bubble Guppies as they swim into activities perfect for summer in these six swim-sational episodes! Dora and Boots are having a blast at the beach when they hear a call for help. It’s a baby crab stuck in a net! Help Dora and Boots take Baby Crab to his Mami on Crab Island. Max and Ruby work a lemonade stand, fly kites and put on a backyard magic show in this seasonal DVD favorite. Preschoolers’ favorite characters from Dora the Explorer, Go, Diego, Go!, The Wonder Pets!, Blue’s Clues, Yo Gabba Gabba! and Ni Hao, Kai-lan compete in sports and practice camaraderie in this DVD. Join SpongeBob and Patrick for six hilarious adventures. Enjoy the Great Barrier Reef, a cruise, a trip to the Ocean Mint, a homebound holiday and a trip that’s out of this world. Giveaway ends June 26, 2014 at 11:59pm CST. Must be a US resident and 18 or older to win. I love shopping at Kohl’s for myself and my family so I was really excited to be chosen as a Kohl’s Disney Jumping Beans Ambassador. Kohl’s has quality clothes at great prices (especially when it’s Kohl’s Cash time!) On top of that, they support their local communities through their Kohl’s Cares program which I love. This month, I received a mailer with two sample outfits from the new Jumping Beans collection at Kohl’s. Yesterday, I headed to Kohl’s to check out the new collection which pairs Mickey and Minnie Mouse with American red, white, and blue colors. It was easy to find the clothes because of the huge “Magic at Play” ceiling fixture and all of the Mickey and Minnie characters around the shelves. Have a baby? This t-shirt is a must for Disney lovers! Jacob loved all of the sports shirts and they will be perfect for summer time sports practices. This “Americana” line is also great for the 4th of July. I’ve already picked out Jake and Luke’s outfits for when we are watching fireworks together! Want to check out the collection yourself? Enter below to win a $100 Kohl’s Gift Card! Giveaway ends May 3, 2014 at 11:59pm CST. Must be 21 or older and a US resident to enter. A couple weeks ago I confessed that I was a TV junkie and shared 5 shows I love watching. I enjoy discovering new shows and thought you all may have some favorite ones that I haven’t even heard of yet. To encourage you all to share, Netflix gave me one 3 month subscription to their service to give one lucky winner! Rio 2 came out in theaters last week and I’m excited to take the boys to see it. In the 2nd installment of the Rio movies, we follow Blu, Jewel and their three kids as they go from the city to the wilds of the Amazon. As Blu tries to fit in, he goes beak-to-beak with the vengeful Nigel, and meets the most fearsome adversary of all – his father-in-law. 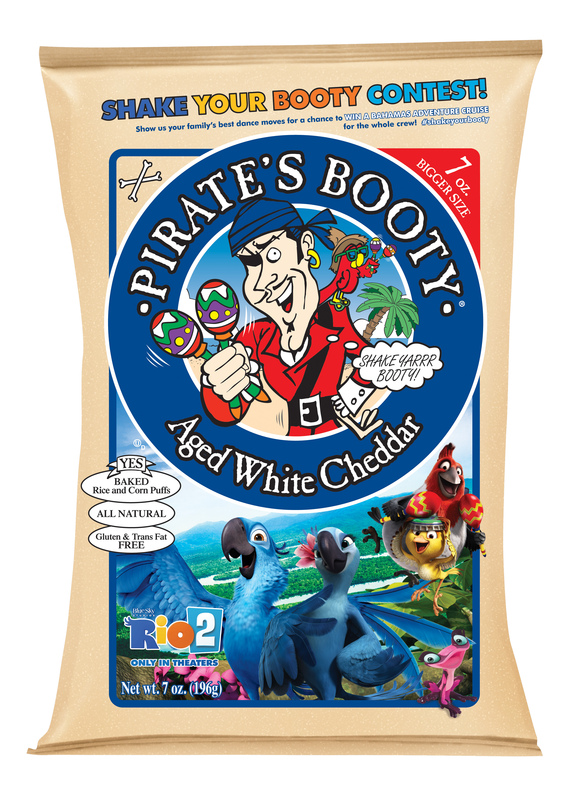 To celebrate the movie, Pirate’s Booty is offering a special Limited Edition 7-ounce package and a national “Shake Your Booty” contest to win a “Bahamas Adventure Cruise.” The Limited Edition Rio 2 7-ounce packages of Pirate’s Booty Aged White Cheddar snacks will be available in retailers nationwide now through the end of May. Pirate’s Booty Aged White Cheddar is a deliciously baked snack made from puffed rice corn and blended with real aged white cheddar cheese. Pirate’s Booty has half the fat and fewer calories than regular fried potato chips, so it is a snack that kids and parents agree on. Pirate’s Booty contains no artificial colors, flavors or preservatives and is also trans-fat, gluten, peanut and tree nut free. We love Pirate’s Booty here at our house! In addition to the limited edition packages, Pirate’s Booty is offering people a chance to win a “Bahamas Adventure Cruise” for the entire crew through the “Shake Your Booty” contest. Consumers can enter for a chance to win by capturing their families’ best dance moves and entering the “Shake Your Booty” contest on Pirate’s Booty’s Facebook page. For more information and a complete listing of official contest rules, terms and conditions, please visit www.facebook.com/piratesbooty. Giveaway ends May 1, 2014 at 11:59pm CST. Must be a US resident and 21 or over to enter. Ever have those times when you are craving something to snack on but can’t decide between something sweet and something salty? If so, I have the perfect snack for you! Fisher Nuts recently sent me their new product to try out and share my thoughts with you all. They just launched a new snack product – Fisher Nut Exactly – exclusively at Costco stores in the Midwest for a limited time only. This sweet yet savory snack contains no artificial ingredients and is created with the perfect combination of crunchy roasted almonds and whole grain popcorn, rolled into a snack-sized bite that’s dipped in rich 66% cacao dark chocolate. They have been a great snack for me to eat while driving the boys to Spring sports practices because they come in small poppable pieces. The combination of the nut and whole grain are filling enough to tide me over until we get home for dinner. The chocolate on them is just the right amount to give me that sweetness I’m craving. 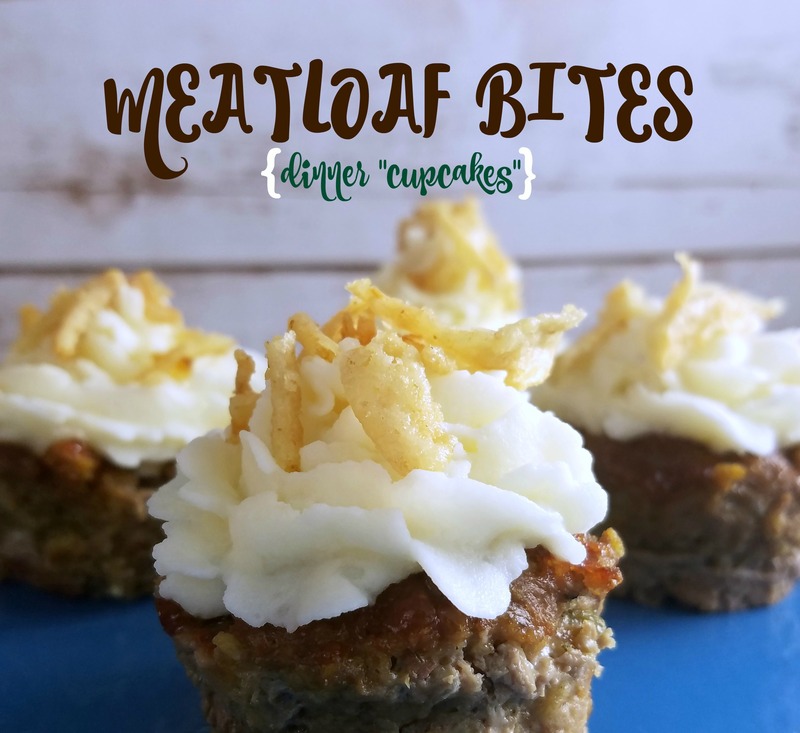 These are also a nice snack to serve at your March Madness party tomorrow or really any get-together you are having this Spring. The key to any party is easy to eat food and this snack fits perfectly in that category! Want to try it? Costco stores in the Midwest are having tastings this Thursday, April 10th. Live elsewhere? The giveaway below is open to everyone in the USA! Giveaway ends April 17, 2014 at 11:59pm CST. Must be a US resident, 21 or over to enter. Going out to eat at a sit down restaurant is normally reserved for special occasions in my family but we decided to break the routine and go out to eat last night. We went to Houlihan’s which I hadn’t been to in years. After a short wait we were seated and I ordered one of the few adult drinks I like called a “Miami Vice”. The boys checked out the kid’s menu and stuck with their typical corn dog and chicken tenders. I liked that there was a variety of foods for kids and the sides weren’t just the typical ones you’d expect to see. Lucas chose fresh strawberries for his side and Jacob chose tortilla chips and salsa. Along with the entree and side, kids get a drink, dessert (ice cream or flavored apple sauce) and an appetizer of carrot sticks with ranch dip. With all this included I was surprised to find the kid’s meals were only $5.95! For our appetizer I ordered the Parmesan Frites not realizing that was just a fancy way of saying french fries. They came with three dipping sauces, my favorite of which was the garlic parmesan dipping sauce. Sinisa chose the salmon dinner with asparagus and mashed potatoes as his sides. I wanted to save plenty of room for dessert so I ordered a pulled pork slider and side salad. I loved that the pulled pork was a chunk of meat and not little pieces. It also came with fried pickles on it which is a delicious combo. Nobody could decide on dessert so we chose a few! I had to try one of the seasonal specials, the chocolate mousse with fresh raspberries and whipped cream. It was absolutely amazing and was one of their light choices at only 410 calories. We also got a brownie sundae and doughnuts with a caramel apple dip. It was a delicious way to end our family day! Houlihan’s had a great atmosphere. I like that they do their best to source the highest quality ingredients from partners committed to traditional farming practices and responsible stewardship of the land. Wherever possible, they choose smaller, artisan partners and make every effort to choose ingredients that are free of preservatives, antibiotics, and hormones. I also love their website design along with it is really creative sayings like “if you like it, put a pin on it“. Giveaway ends March 25, 2014 at 11:59pm CST. Must be 18 years of age or older and a US resident to enter. Chocolate lovers, I have an announcement! 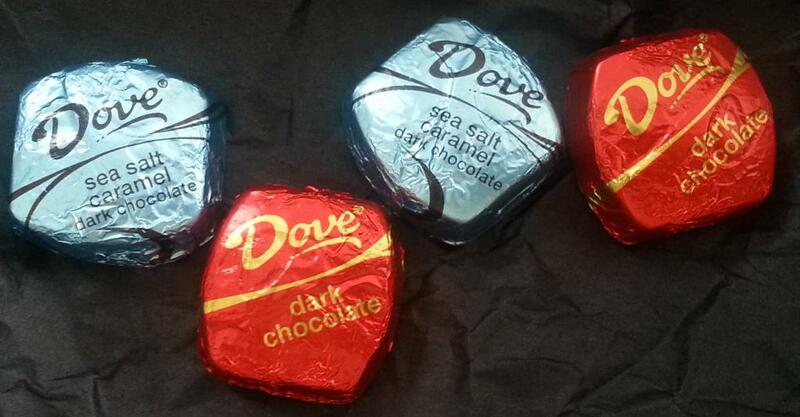 DOVE® Chocolate has a new flavor out: Sea Salt Caramel Dark Chocolate. I enjoy milk chocolate more than I like dark chocolate but these little pieces of chocolate are so delicious. The sweet caramel goes perfectly with the bitter taste of the dark chocolate. I also love that DOVE has inspirational quotes inside their chocolate wrappers. Giveaway ends February 15, 2014 at 11:59pm CST. Must be 21 or older and a US resident to enter. Obstructive sleep apnea (OSA) is a condition that causes people to suddenly stop breathing during sleep anywhere from 10 seconds to more than a minute and up to hundreds of times a night. It’s a potentially life-threatening condition affecting 12 to 18 million U.S. adults that can increase the risk for serious health problems, including congestive heart failure, stroke, high blood pressure, heart disease – just to name a few. A new therapy called oral appliance therapy (OAT) uses a “mouth guard-like” device worn only during sleep to maintain an open, unobstructed airway. OAT devices prevent the airway from collapsing by either holding the tongue or supporting the jaw in a forward position. The devices are quiet, portable and easy to care for. AADSM recommends oral appliance therapy for people with mild to moderate obstructive sleep apnea. Once a patient is diagnosed with primary snoring or obstructive sleep apnea by a board-certified sleep physician, a dentist trained in dental sleep medicine can provide treatment with OAT. Consumers with sleep apnea or loud and frequent snoring can go to www.LocalSleepDentist.com to find a local dentist trained in oral appliance therapy. Giveaway ends February 5, 2014 at 11:59pm Central time. Must be 18 or older and a US resident to enter. One “must-have” on every new parent’s shopping list is a stroller so I’m really excited to share an amazing giveaway with you all. Jané USA is giving away a Trider Extreme stroller. This stroller sells for $790! Jané has been around since 1932 and was started by a dad who created the first pram for his son. Love that the company was built from a parent’s invention. The company now carries a line of carseats in addition to strollers. The co-sponsor of the giveaway is zseek. The website is a marketplace that lets parents compare baby products side by side to help them make decisions on which products would work best for their family. Zseek also runs giveaways frequently so be sure to check them out. Moms, if you are like me and don’t always get to wash your hair every day, I have some new products to share with you! Herbal Essences recently contacted me about trying their new collection exclusively available at Walmart.com and they sent me a gift card to purchase it online. This collection features 4 products, including a dry shampoo for in between washes. I will be reviewing it next month and letting you all know what I think about it but here is some information about the new collection from Walmart’s website. Bare your softest hair with the Herbal Essences Naked Collection Volume kit. The kit includes Naked Volume shampoo and conditioner with 0% heavy residues, dyes and parabens. Then finish your style with Volumizing Souffle to weightlessly boost hair. And to help keep that volume between washes use the volumizing Herbal Essences Naked Dry Shampoo with natural tapioca to instantly absorb excess oil. It’s everything you need for irresistible volume! Restore hair’s natural body with our Volume Shampoo and Conditioner with zero heavy residues, dyes and parabens. Start with Volume shampoo and gently massage into wet hair until it lathers. Then rinse thoroughly, working from root to tip so your hair is left with a weightless clean. Next, work in the Volume conditioner to keep hair detangled, conditioned to nourish, and full of irresistible volume. Refresh your look and experience lightweight clean hair, even on days you don’t wash. The natural tapioca formula absorbs excess oil, transforming lifeless, oily hair into fresh hair with the crisp essence of citrus and mint. Gently spray on and work into roots, and brush out as desired. This weightless, volumizing wonder gives you a lift for fullness that lasts, while you delight your senses with a boost of grapefruit and mint. Gently work in this mousse through wet hair for touchable, natural volume you can run your fingers through. Want to try this product yourself? Enter to win a $50 Walmart gift card! Giveaway ends January 12, 2014 at 11:59pm CST. Must be 18 or older and a US resident to enter. If you have a little boy that is fascinated by all things that rumble, crumble and crash, a new series by Capstone Book for Young Readers is a SMASH-ingly great gift for this holiday season! The aptly named DESTRUCTION series features four very sturdy board books where readers can follow along as a building is imploded, a car goes into the crusher, a wrecking ball destroys a wall and tires are shredded to bits. Crush It! ; Knock It Down! ; Blow It Up! ; and Shred It! all feature big, bright images and movable parts that allow the reader to blow it up, knock it down, crush and shred it — perfect for little ones mesmerized by destruction! Lucas, who is always on the go, is not a fan of typical books. He doesn’t enjoy looking at picture books but he loved these books because he could do things while he was looking at the pictures. He can move the wrecking ball back and forth, make a building crumble to the ground, crush old cars and more. I also liked that these books were very sturdy. Having multiple kids, it is great when I know items will last for more than one child. The colors of these books were nice as well and the bright colors grabbed Luke’s attention along with my own. 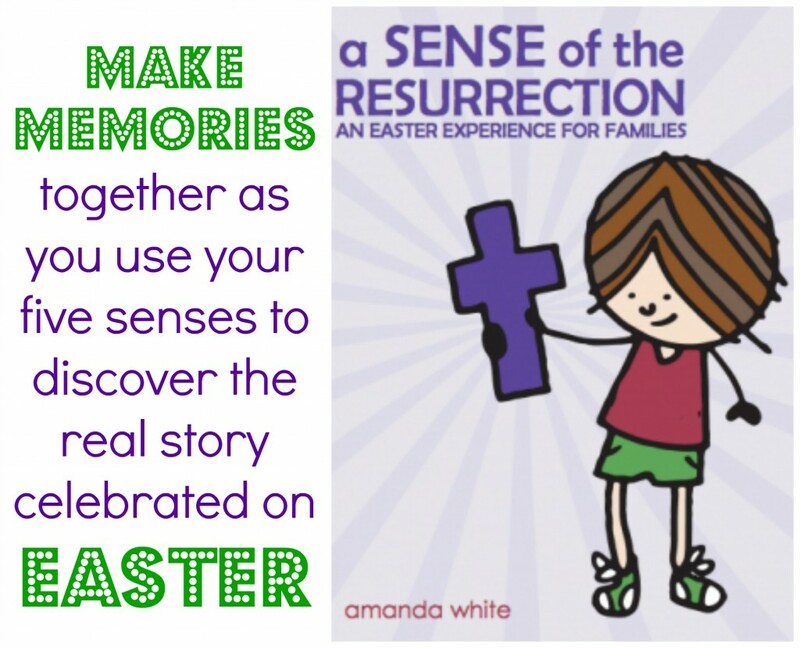 For more information about the series and purchasing information please visit: http://www.capstoneyoungreaders.com/products/crush-it-/. Giveaway ends January 5, 2014 at 11:59pm CST. Must be 18 or older and a US resident to enter. The Energizer Bunny is 25 years old and he believes birthdays are about celebrating with those around him so, in stores now, consumers can collect Bunny Bucks to turn into money, via a check or deposit into their PayPal accounts. And with Christmas just a week away, it’s the perfect time to start stocking up on batteries for all of those holiday gifts you will be giving. To participate in the Energizer Battery, Inc. Bunny Birthday Bucks Rewards offer purchase two specially marked packages of Energizer® batteries now through June 1, 2014, while supplies last. Each specially marked pack will contain one unique code. Two codes are required to receive either a $4 Bunny Birthday Bucks Reward or an $8 Bunny Birthday Bucks Reward. To read more details and the offer rules please go to the website found here. The Energizer Bunny will also dole out party favors in the way of coupons throughout the months to come so make sure to follow him on Facebook! Giveaway ends January 10, 2014 at 11:59pm CST. Must be 18 or older and a US resident to enter. Target recently gave me a gift card and sent me on a Christmas shopping mission with my kids to one of their stores. My challenge? Be a kids’ gift detective and purchase toys for my boys without them knowing. Sometimes shopping for kids can be hard. Jacob and Lucas tell me they want everything that they see on television so it’s not always easy to decide which gifts they want the most. With Sinisa working so much it’s also difficult for me to find time to go shopping. While I do a lot of my shopping online, I’ve found that sometimes I just prefer the shopping experience in-real-life instead of online. Kids’ Gift Detective Tip 1: While shopping at Target for your everyday needs, indulge your kids with a stroll down the toy aisle. As they interact and point out toys they like such as the Air Hogs Atmosphere, you can easily pull out your smartphone and use the Target app to purchase it right there in the toy aisle without them ever knowing it. Kids’ Gift Detective Tip 2: For an upcoming shopping trip, bring the other parent, friend or grandparent who can bring the kids to a different part of the store for a snack while you make purchases of the gifts. Or, doing your shopping with the kids’ while in plain sight and tell your kids the items are being given to a cousin or friend, so your kids won’t even realize the gift is for them. Kids’ Gift Detective Tip 3: Enlist your kids in the shopping fun. Want a sneaky way to find out exactly what your kids want for the holidays while also shopping for a good cause? Tell your kids you’re shopping for gifts to donate to a local charity, and have them pick out the toys to donate. Your kids will love scanning the aisles for their favorite items, like the Flutterbye Flying Fairy or Teenage Mutant Ninja Turtles R/C Shellraiser. Little do they know that the items you’re picking out will also be the gifts they’ll find under the tree. To make sure they don’t blow your cover, you can drop off items you bought at your local charity and order the items online that they picked out for their Christmas gifts. Kid’s Gift Detective Tip 4: If you don’t have a partner in crime to help during your covert shopping trip, make sure to disguise or hide the items you put in your cart. When you arrive at the store, line your cart with “undesirables” (like jumbo packs of frozen Brussels sprouts or books about manners) so your kids can’t see the real gems hidden inside. You can also swing by the container aisle to convert your cart into a covert shopping storage machine. Just place one big, closeable bin into the basket and add their wish list items to the bin while you wheel through the aisles. Skylanders is #1 on Jacob’s list. 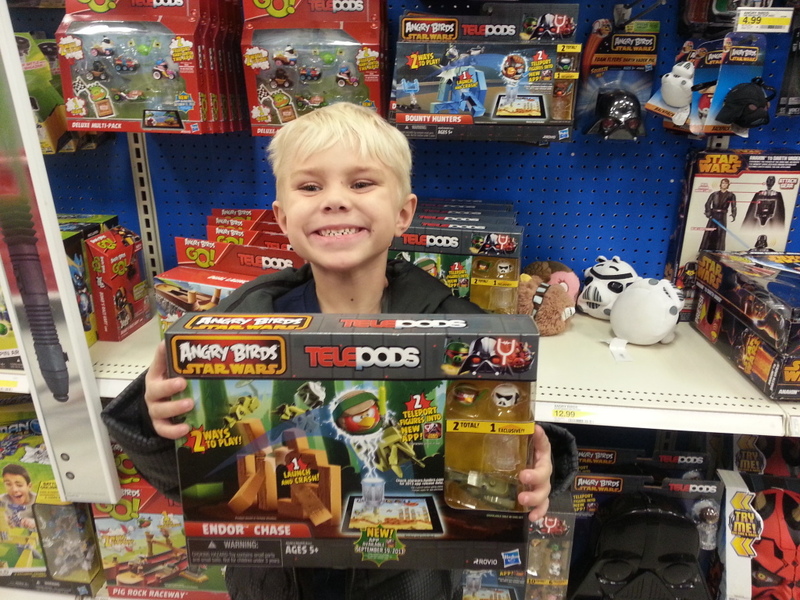 The newest game out is Skylanders Swap Force which he loves. Really anything Skylanders will do! Angry Birds Telepods toys go with the phone app and are a big hit in our house as well. Switch & Go Dinos were mentioned a few months ago and here he shares again that they’d be in his top 5. Vehicles that turn into dinosaurs? Pretty cool! Jacob got this Hot Wheels Set for his birthday. Cars are always a hit with this age group! This LeapPad bundle tied with the Nintendo 3DS as a top electronic gift. For the LeapPad Jake thought a 5 year old boy would like a SpongeBob game the most and his top 3DS game was Pokemon. So many great gift ideas! Need help figuring out how to hide all of the fabulous gifts? Don’t worry because Target has ideas about how to do that as well! Find them all here. 3) Share a picture of yourself using the Target Kids’ Gift Detective tips on Twitter. Use the #MyKindofHoliday hashtag to tag your pictures. Giveaway ends December 20, 2013 at 11:59pm CST. Must be 18 or older and a US resident to enter. As a woman there is nothing more exciting than receiving a tiny little box on Christmas and finding diamond jewelry inside. I think the reason is because it’s something we normally wouldn’t buy for ourselves because it tends to be expensive. I have a secret to share though…. Today, December 6th, 1Sale has 1/10th ct Diamond and 6.5 Amethyst Earrings, value $199, for only $29.99 today! At 1Sale every day is Black Friday getting up to 90% off retail prices on products each day ranging from electronics, housewares, jewelry, accessories and more. New daily deals are posted at 12 midnight Eastern time every day. And there is no need for group buying on 1Sale! Anyone can get these daily deals for gifts, personal shopping, etc. Last Christmas I found an amazing deal that I thought was too good to be true and got a dream light and pillow pet set for only $20. I was so excited for my boys to get them. Make sure to check out the other great deals being offered today! 5 people will each win an earring set, valued at $199!! Giveaway ends December 23, 2013 at 11:59pm CST. Must be a US resident, age 18 or older to enter. Every woman has a style of her own. Some are more classic, some are edgier, and some are always showing off the latest trends. I used to be trendier but started to stick with a more classic look as I headed into my mid-twenties and beyond. Carmex, wanting to help each woman embrace her own unique style, created a Limited Edition collection of lip balms. There are four designs: chic black & white, adventurous leopard print, trendworthy purple, and a whimsical colorful print. There is a quiz online where you can discover which stick best aligns with your personal style. I took the quiz and got “chic”. Giveaway ends December 19, 2013 at 11:59pm Central time. Must be 18 or older and a US resident to enter. You never know how much you take something for granted until you don’t have it. I never realized how much I used Microsoft Office products until I didn’t have them on my computer. I couldn’t edit Word documents people sent me, I couldn’t easily create invoices, and I had a lot of trouble opening attachments I was sent that were written in Word. One thing I really wanted to do was create some sort of spreadsheet to track my blog income better. I had been relying on email and a sheet of scrap paper to keep track of things but that was a horrible system. Once I got Microsoft Office back I immediately created a spreadsheet using excel. Using a spreadsheet has made it a lot easier to see when projects have been completed and when I should expect to be paid. I also created a blog expenses sheet and a sheet to keep track of where I have promoted posts on social media. All of these spreadsheets have made me much more efficient. One other bonus of using Microsoft Office is that it can be accessed anywhere I go. The 9 to 5 has blurred and today people need modern technology to find balance. From the home to the office, and especially on the go, people all around the world are working differently than the past. I work from home full-time and, though I’m mostly at my computer, I need to be able to get work done even when I’m not home. A February trip to NYC, America’s most get it done city—with enough cash to buy tickets to the big football showdown, or catch your favorite Broadway show. Slap on your skis and head to Utah this January, where you can get it done in between indie flicks in Park City. Fly to Austin in March, where you’ll enjoy a boot-scootin’ week of living history, live music and interactive in the heart of Texas. Enter to win here at Making Time For Mommy, too! 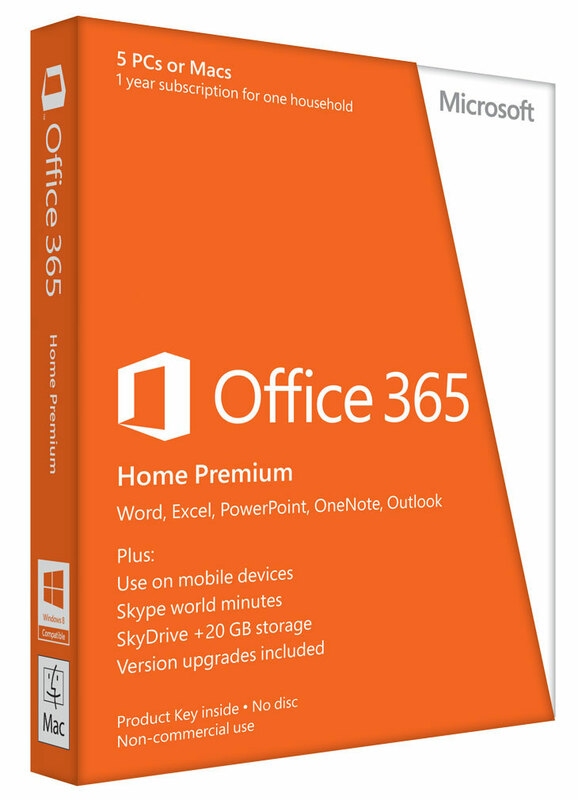 One reader will win a one-year subscription (US $99.99 value) of Office 365 Home Premium. 2) Share this giveaway on a social network. Giveaway ends November 24, 2013 at 11:59pm Central time. Must be a US resident and 18 years or older to enter. Since having kids, I stopped spending much time on my morning routine. Working from home means I can wear comfy clothes all day long and my hair usually ends up in a ponytail because my hair takes forever to style. I used to care about making a good first impression but now I’m more worried about how my kids look than how I look. How important is making a good first impression to you? Are you the type that always strives to make the best impression you can or are you the type of person who could care less about what others think? Regardless of your answer to the above question, I think it’s pretty safe to say that most everyone tries to make the best first impression they can when they go on job interviews. Walmart and AXE Hair have teamed up for The Greatest Place to Work sweepstakes, inspired by the DVD release of the movie, The Internship. Through Oct. 23-Nov.23, just head to your local Walmart and visit bit.ly/axesweeps via your mobile phone, answer a couple fun and easy questions and get entered to win The Greatest Place to Work sweepstakes. You could win the prizes featured below. Isn’t that a fantastic sweepstakes!? While I don’t have all those amazing prizes to give away, I do have a $25 Walmart gift card to give away to one reader. Enter in the comments below! 1) Tell me what thing helps you make a great first impression…is it your smile, your power suit, a fierce lipstick, or your fabulous personality? Giveaway ends November 26, 2013 at 11:59pm CST. Must be a US resident, 18 or older to enter. Visa Gift Card Giveaway- Easy Entry!